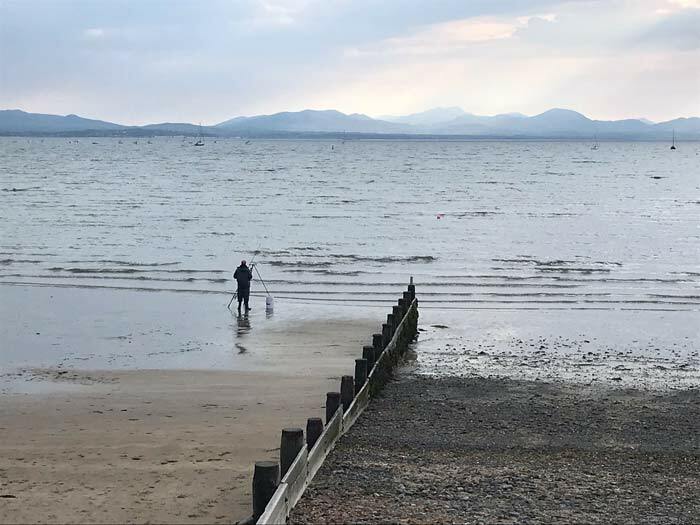 Reports From May 2018... For the Latest Reports - click here. 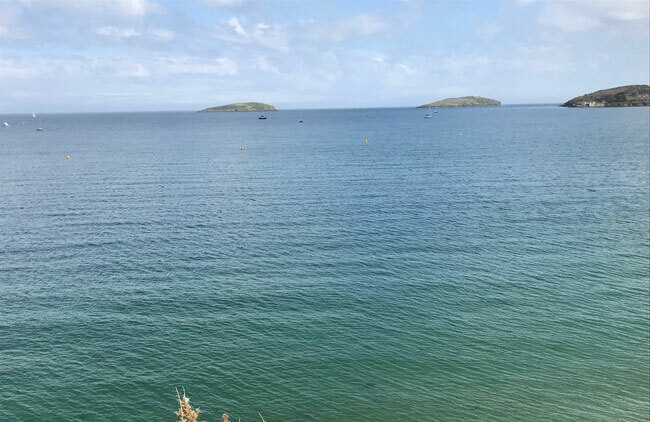 There has been plenty of cloud this morning here in Abersoch, which has broken up at times to allow through a few bits and pieces of sunshine and it is feeling really quite warm again, due to the absence of any breeze, especially during those brighter moments. 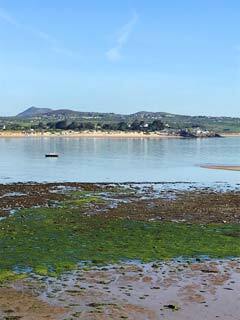 Conditions for those on the beach are really rather good again, because of that level of warmth and the bay has been glassy. This general level of warmth, due to us seeing a rather more continental influence on our weather, really does make a refreshing change to the more normal Atlantic driven weather and the good news is that the warmth is set to continue, however, as was the case yesterday, showers are edging up through the UK, with one or two showing across the bay in mid-Wales at the moment and so we will see a shower lottery scenario developing on Pen Llyn as the afternoon goes on, lasting into tomorrow. 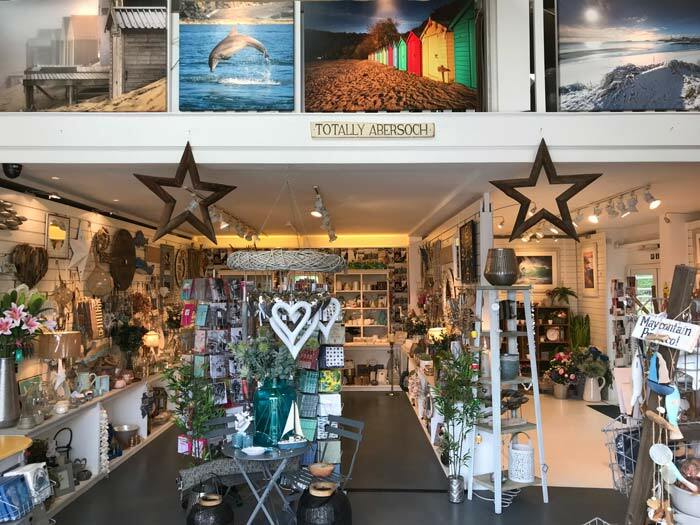 We popped into the Totally Abersoch studio, shop and gallery this morning, where you will find an extensive range of gifts and homeware, along with John's wonderful photos of the area. 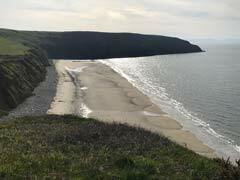 If you have yet to visit, then you can find them by heading out of Abersoch on the Sarn Bach road and Totally Abersoch is on the left, a short distance out of the village. It is well worth a visit! - 10.25am - 10.45am - Lon Pentre Bach closed. 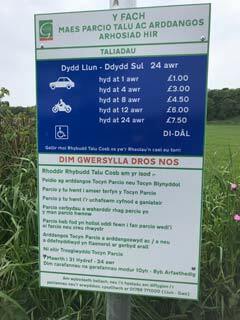 - 10.40am - 11.59am - Restricted access from Sarn bach crossroads. There are other shorter restrictions elsewhere, however, in general if you are driving please be aware of the runners that will be on the roads. 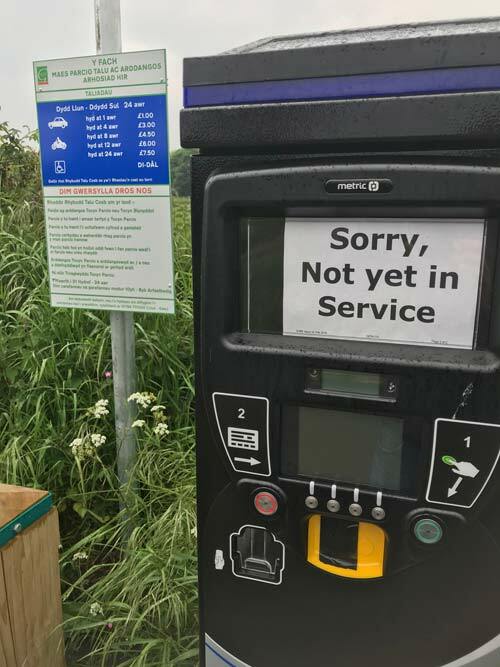 Note also that if you are parking in the beach car park, run by the golf club, to remember to buy a parking ticket that covers the duration of your parking visit to the car park AND keep your ticket for at least a month afterwards. 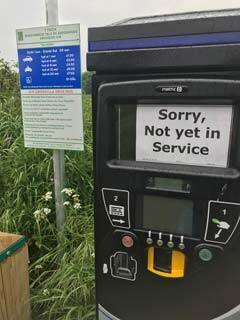 The car park is one of those with registration plate cameras, so it is not advisable to either not pay or lose your ticket. Next Update: Either later today or tomorrow. 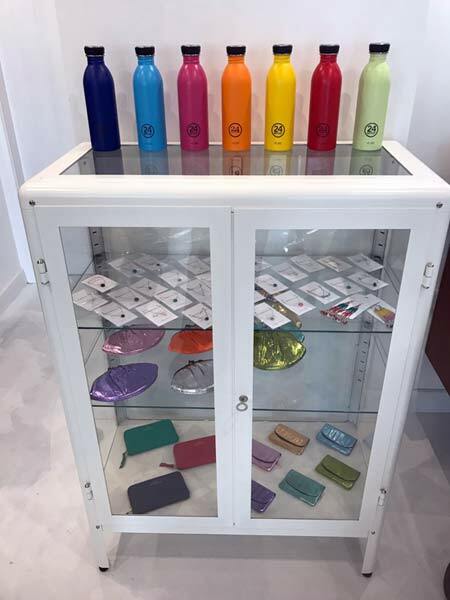 Lovely things for lovely people! 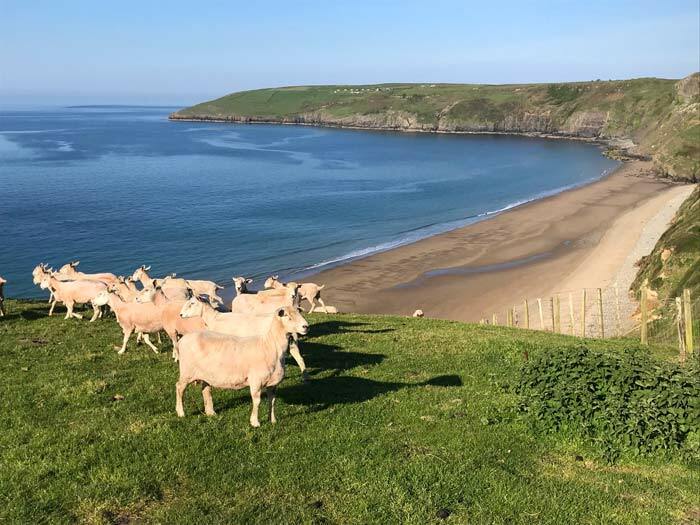 On the left on the Sarn Bach Road. 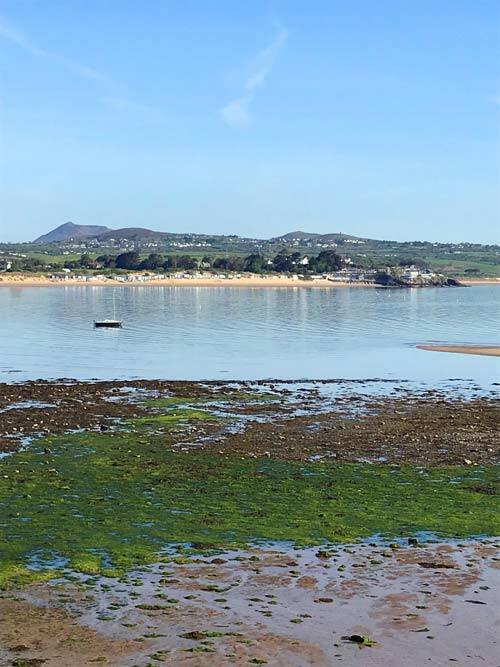 It is another really nice start to the day here in Abersoch, though we don't have the mostly clear skies of the last couple of days as there is more in the way of high clound making the sunshine hazy, however, it feels pleasantly warm. Showers are possible later (see the weather page). 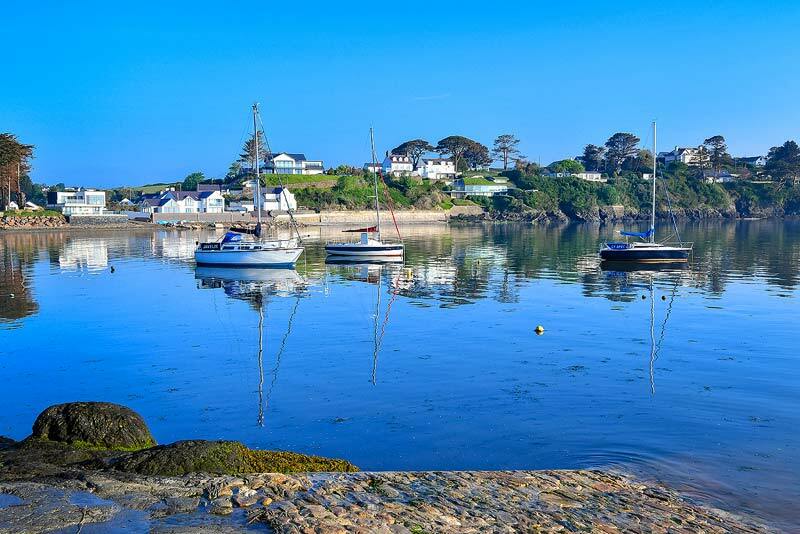 Abersoch is hosting a Taste Weekend at the end of September and the dates for the annual Christmas Festival Weekend have also been added over on the events page. 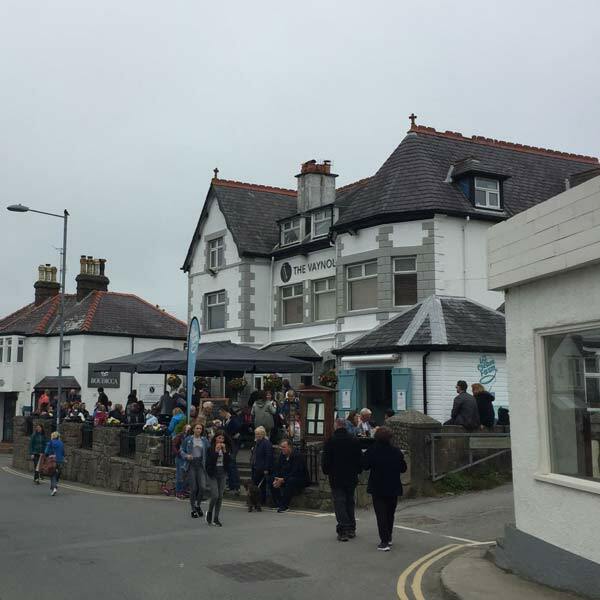 One of the really disappointing issues in Abersoch in recent months was the local health board's decision in allowing the Abersoch doctors surgery to close. This was a shortsighted decision that will impact the village for generations. There appears to be no chance of this being reversed, as the site is now up for sale. We will return to this issue in the near future. 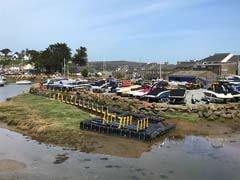 View across Tim's boatyard at 9.20am. 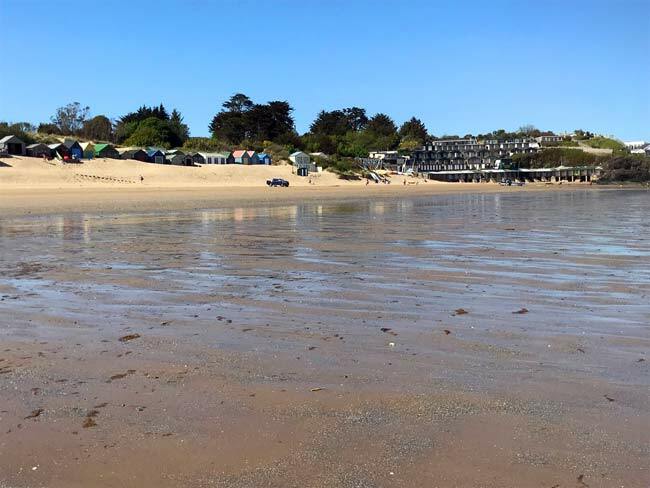 Another great beach day here in Abersoch with temperatures soaring on the soft sand areas on the main beach anid in the village, with the breeze a little up and down, but disappearing from time to time to enhance the heat. 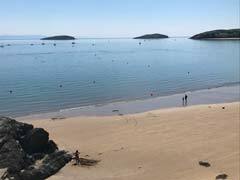 There was plenty of activity on the water, all the way round to Porth Ceiriad with conditions for powerboating almost as good as it gets here in NW Wales. There was some breeze at times too for the sailors and the main beach was busy, but not quite as hectic as yesterday. Tomorrow may start off in a similar vein to today, however, the shower risk looks like increasing later in the afternoon - more on this on tomorow morning's forecast page. Plenty of water activity today. 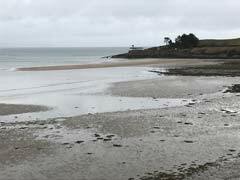 Tide out on the main beach this afternoon. 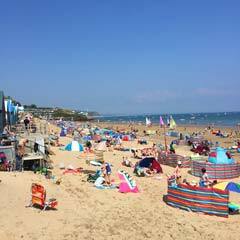 The glorious weather of this morning has continued this afternoon, with some very warm sunshine resulting in a very busy main beach. So far, the skies have been virtually cloudless, with some convective cloud visible across the bay, bubbling up over the mountains and there looks like there is a shower just inland of Porthmadog as this report update is being typed, which could become a nuisance for a time on parts of the peninsula. 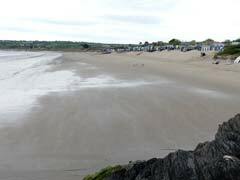 A busy main beach this afternoon. 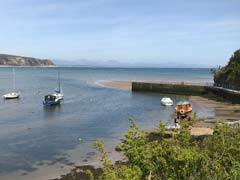 Thank goodness, the weather of earlier last week has returned to Abersoch this morning, after what has to be said were 4 very disappointing days. This morning, the breeze is light, the sun is warm and temperatures are already soaring. The volunteers down at the lifeboat station are holding their annual open day today, with stalls and a BBQ and you can go and meet the crew and see the boat and lifesaving equipment. The drier weather that arrived during the second half of yesterday afternoon was perfect timing for the evening of music at Mickey's Boatyard, where a jet ski was auctioned off, raising £8000 for the Abersoch and Pwllheli Lifeboat stations! The conveyor belt of heavy showery rain that was affecting Abersoch around the middle of the day has now moved a bit further north this afternoon, leaving Abersoch in some drier weather and it is also getting a bit brighter, with some areas of blue sky visible not too far away. The latest info suggests a better evening, with further showers less likely. 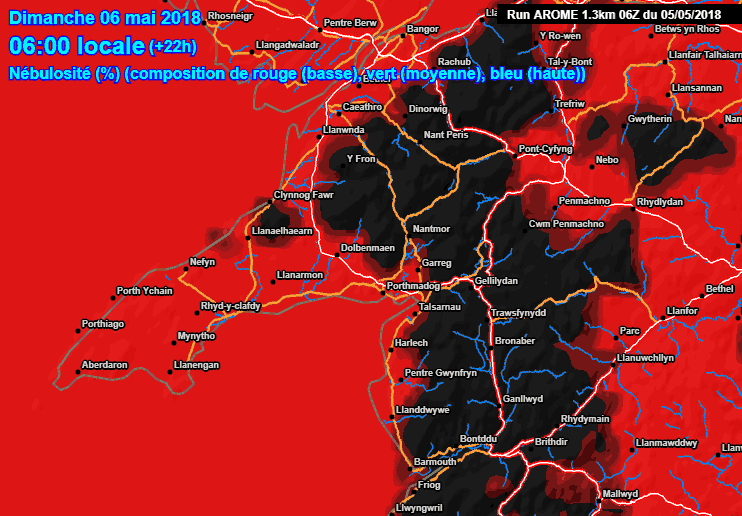 However, it is still one of those situations where things could change at relatively short notice, as these streams of thundery showers are difficult to predict beyond a couple of hours, but at the moment, things look a little better. 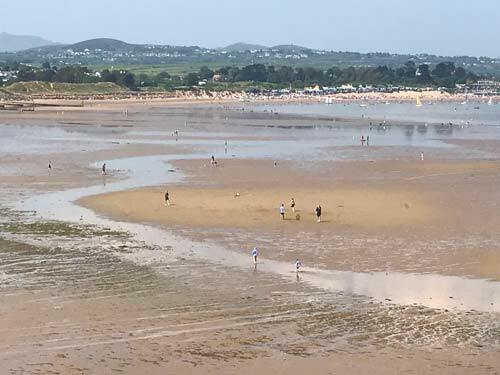 Early this morning, the models and other info was suggesting that we might get away with not too bad a day here in Abersoch, as the track of these unpredictable streams of thundery showers was looking potentially favourable. 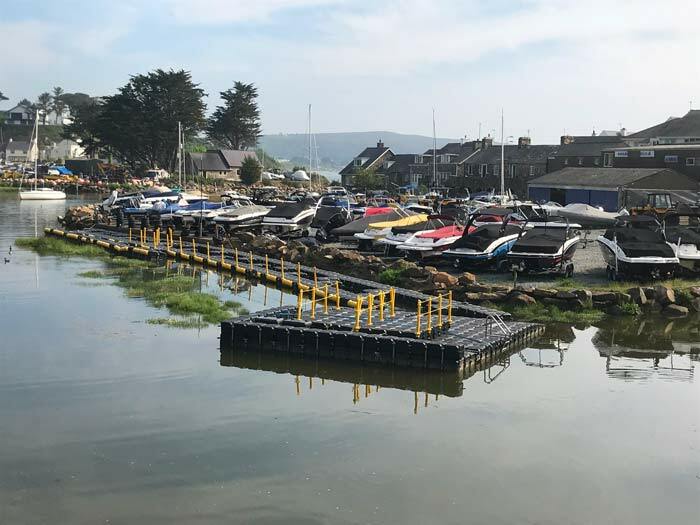 We did mention on the weather page that "if the track of these storms changes slightly, we could get a bit of a battering..." and unfortunately this has turned out to be case with a stream of showers setting up and running across Cardigan Bay and into Pen Llyn since just before midday. Some of the rain has been torrential with some thunder and lightning too and the risk of further showers may continue during the next couple of hours, though one glimmer of hope is that we are now close to the southern flank of this shower stream, so some drier periods are now possible and we'll be keeping an eye on the radar to see if this is now an improving trend. These fairly unusual showery set ups do cause problems for the models and in these circumstances, only the precipitation radars mentioned on the weather page can really give us much an idea of what might be incoming. Next Update: Expected to be later this afternoon (5pm-ish). 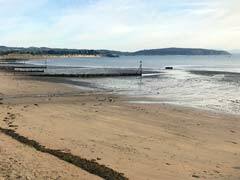 New location for Abersoch Watersports. 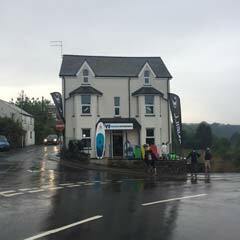 Soggy in Lon Pen Cei. For the third day in succession the weather has not been playing ball as, although it has been better than the last couple of days, it has still fallen short of expectations, with less sunshine and more breeze. There have also been one or two afternoon showers flirting with the area. The breeze has been up and down, but the presence of those showers and the lack of sunshine has meant that it has not really had a chance to do one of its easterly disappearing acts - so its been OK and fairly warm at times, but not great in comparison to what we were hoping for just a few days ago. The next issue is the potential for thunderstorms arriving overnight and threatening to disrupt tomorrow, so more on this on the early forecast tomorrow morning. Beyond tomorrow, the weather does look like improving again, with increasing amounts of sunshine. 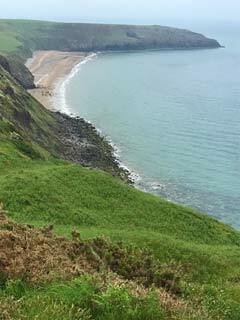 Today's photo was from another trip along the coastal path in the haze. Next Update: Expected to be on Sun 27th May. 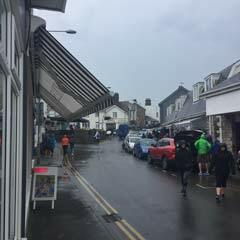 The showers returned this afternoon, so it is not the best day here in Abersoch, for the second day running, however, the village has a slight busier feel to it already, ahead of what is expected to be a very busy weekend. Further showers may affect the area during the rest of the day and into the evening. 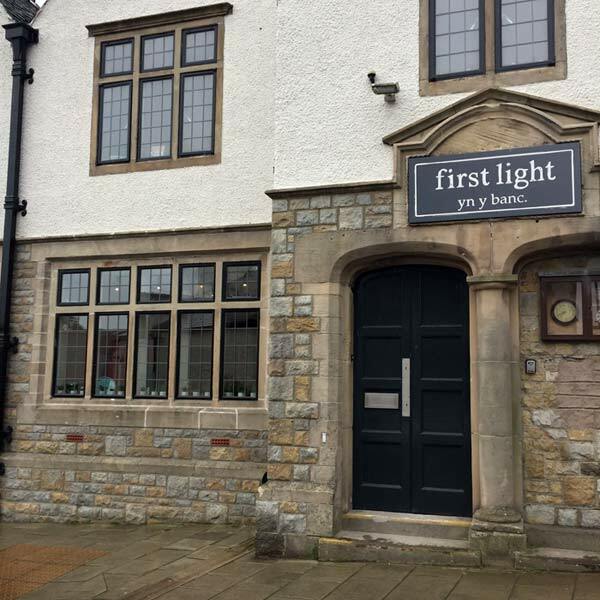 First Light opened its second shop in the village yesterday and we had a quick peek inside today. The conversion from a bank to a shop has been done really nicely, resulting in a spacious and light shop area. 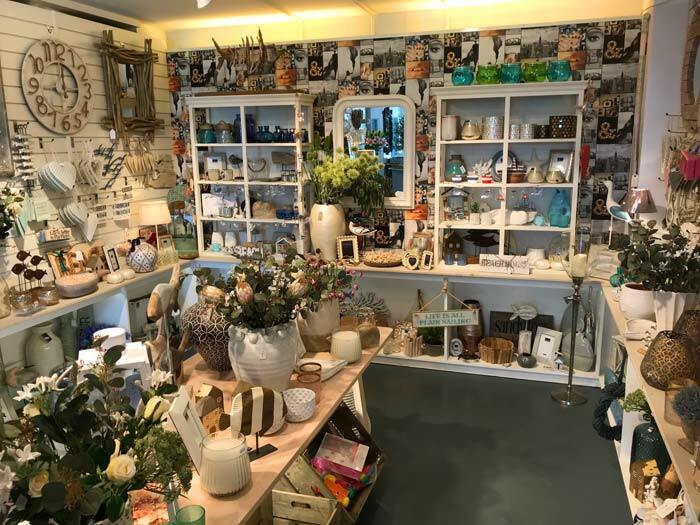 On display, you will find a quirky selection of gifts and homeware, with a larger range of some familiar brands which have previously been stocked in First Light's other outlet in the village. Best of luck to Sam on this new venture. 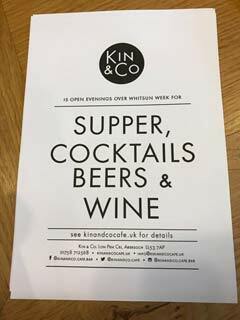 More news will be available soon on a brand new menu for the evening's at Kin and Co as soon as we have it. Chef's John and Tom have been working hard on creating the new menu which will be on offer from tonight onwards. Once again you will be able to enjoy early evening cocktails through the holiday week. Joe Slater will be playing at Mickey's on Bank Holiday Sunday 27th May and according to them, "Joe was recently signed up by music promoters TALENTBANQ and expert predictions are that this young musician is on the cusp of hitting the big time. With 6 instruments under his belt and musical inspirations from The Beatles, The Boss and Oasis... Joe blurs the lines between Blues, Soul and Rock 'n' Roll"... Entry is £2 for adults and £1 for children which will be donated to the local RNLI. 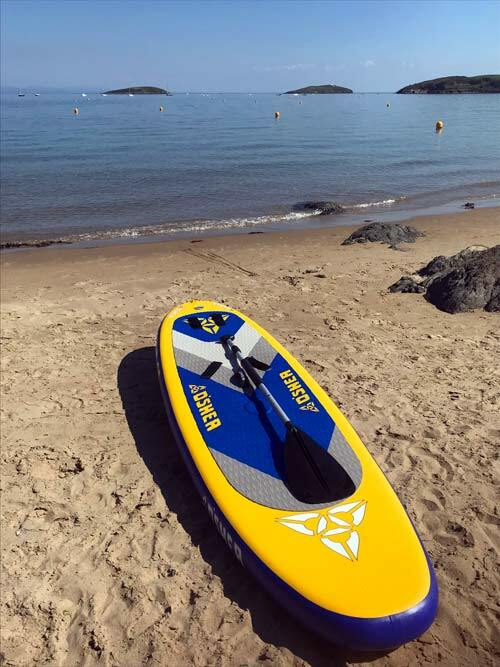 There will also be a charity auction on the same evening with a brand new Yamaha jet ski, donated by Ideal Boats to be sold with no reserve, with the proceeds to be shared with Abersoch and Pwllheli RNLI stations. First Light's second shop interior. 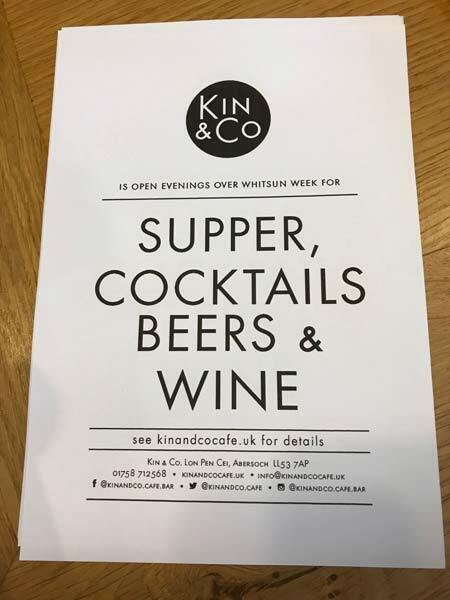 Kin & Co Opening Evening's. 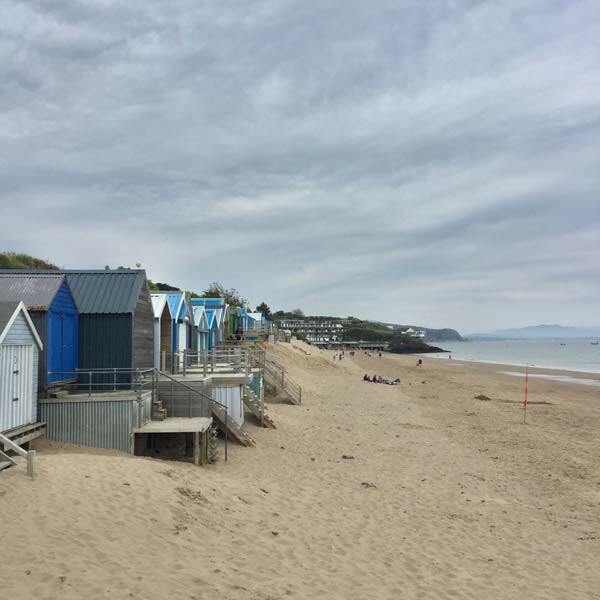 It was raining early this morning here in Abersoch, which eased off before 9am and it has been dry but rather cloudy since. It does looks as though some further outbreaks of rain may arrive this afternoon as rain is moving into northeastern Wales and this could extend to Pen Llyn later. 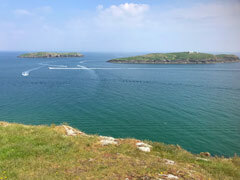 A trip around the coastal path early this morning was rewarded by the view of a dolphin heading towards the sound between the islands and the mainland, though it was too far away to get a photo. 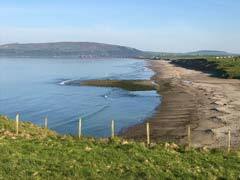 View across Ceiriad earlier this am. The cloud and rain has hung around for a greater part of the day than was expected this morning on our forecast, with very little in the way of brightness this afternoon, which is quite a contrast to what we saw yesterday. The mixed messages from the various models continues for the next few days, with Saturday and Monday potentially seeing the best of the weather, after further showers tomorrow and again on Sunday. Don't be too surprised if the holiday weekend forecast continues to chop and change. Next Update: Friday 25th May. It has been raining on and off since mid-morning, which, as the saying goes, will do the gardens good, however, these showery incursions are looking increasingly likely to make a nuisance of themselves across the area over the coming days. We have mentioned on the forecast page this week, that these little troughs and frontal features were a nightmare for the models to predict and today is a good example of that unpredictability. So, some warm sunshine over the holiday weekend, however, each day may become a bit of a showery lottery too. 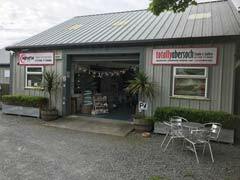 Phill Wood has been a busy man over the last couple of weeks, preparing for his move into more spacious premises across the road from the Glandulyn building to the Riverside premises, where you will be able to find everything you need to satisfy your watersports needs. 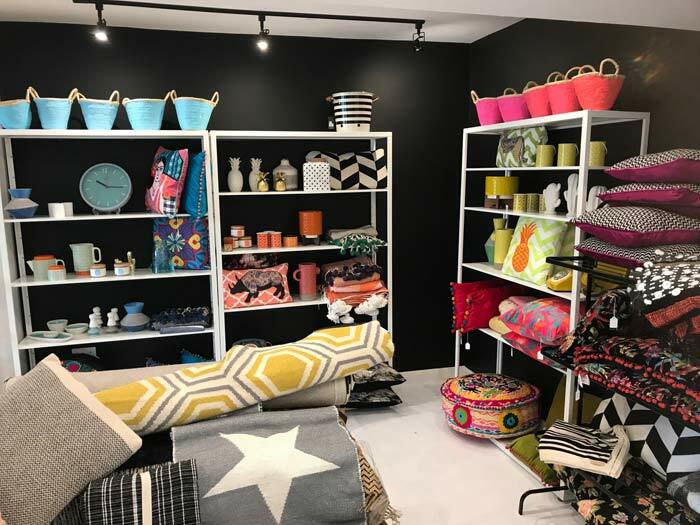 Sam at First Light has also been busy preparing for today's opening of her second First Light shop in the village, which is in the old Nat West building in the centre of the village. 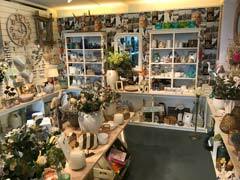 The shop has opened its doors this afternoon and we'll bring you news on what is inside on tomorrow's update. 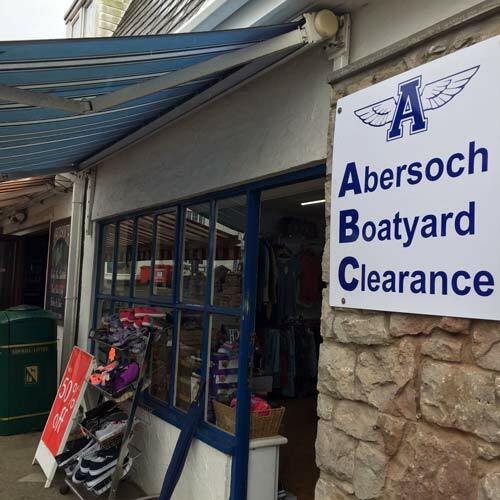 The Boatyard team have also had a hectic week, converting what was the hairdressers into a clearance shop. 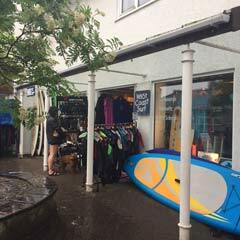 The shop is crammed with bargains from brands including Henri Lloyd, Seasalt, Joules and Lazy Jacks. 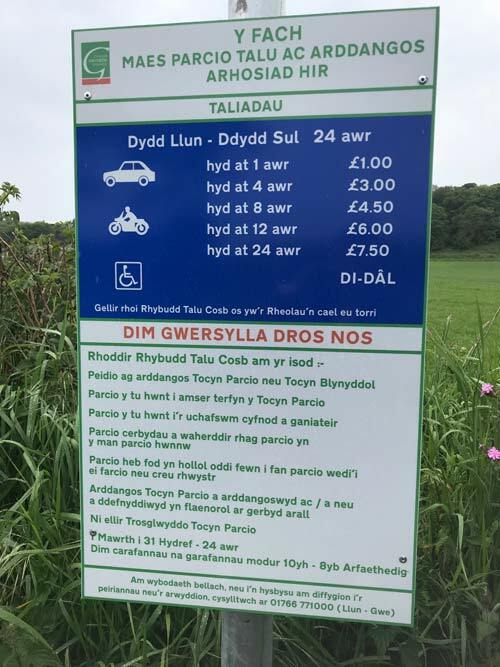 In some not so good news, it looks as though the parking meters at the Fach parking lay by will be operational in the near future, with the signs now showing the tariffs that will be charged. 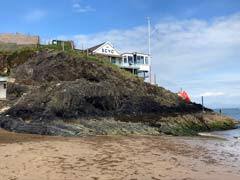 Initial reactions to the charges appear to be negative and it does look as though this is another one of those decisions taken by the local council which the vast majority of the local population was unaware of. Who makes these decsions on behalf of the local population? Answers on a postcard please! We mentioned a few days ago that we would have some news on the White House development, which is (was) supposed to be a 42 bedroom hotel, spa along with 18 apartments, which sprung into life again last summer with advertising hoardings going up at the site, promises of a 2019 opening and apartments marketed for sale by a local estate agent as well as an impressive website going live. 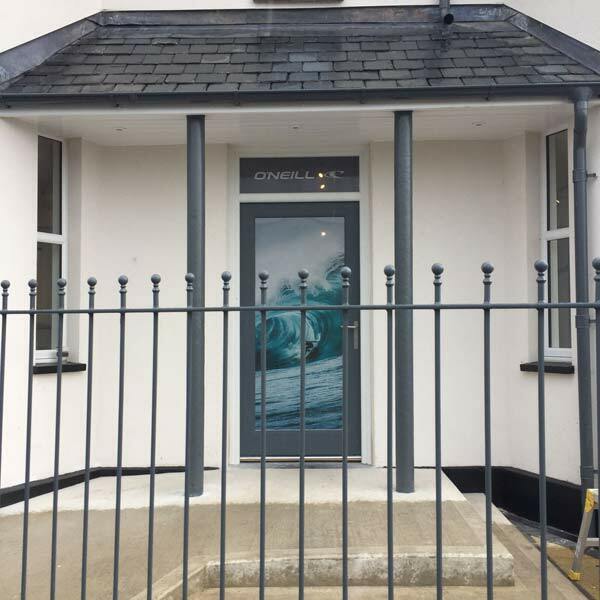 The hoardings came down almost as abruptly as they went up, which appeared odd at the time, however, the presumption was still that the development would go ahead. 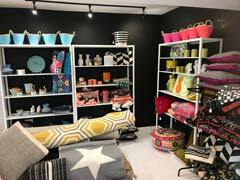 Recently, the website has disappeared and email to the contact for sales / info that was listed on the website now bounce. 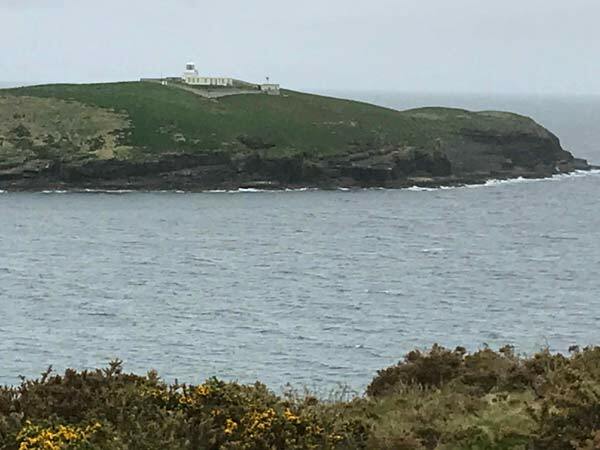 Our enquiries suggest that this project, after years and years of expectation, is now on indefinite hold with no prospect at the moment of it starting. 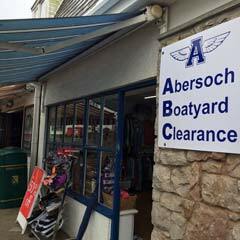 Abersoch Boatyard clearance shop open. 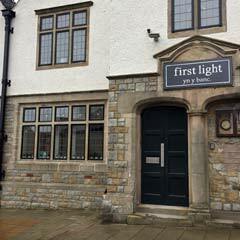 First Light's second outlet in the village. Looks like being an unpopular move. The clear skies of yesterday have been replaced by cloudier ones this morning and we have seen a few spots of rain, but nothing significant. There was a northeasterly breeze first thing, but this has dropped out at the moment, so it is feeling quite warm and humid in the shelter of the village, especially as we are now also starting to see some sunnier intervals. Photos below from before 8am this morning. 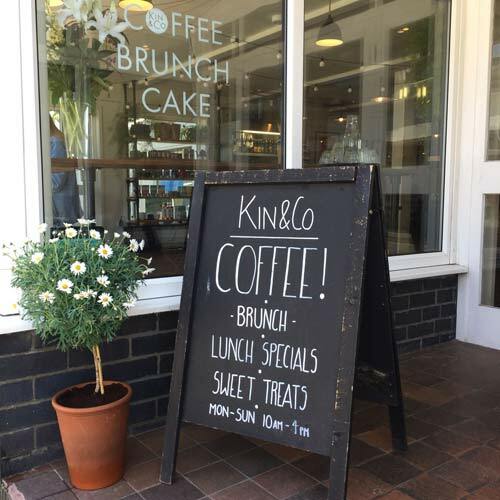 This takes place daily from the 26th May to the 3rd June - details can be found at the event Facebook Page. Three Storytelling Nights will be taking place in the Roundhouse on 27th, 31st May & 3rd June, as part of the Llyn Arts Festival. 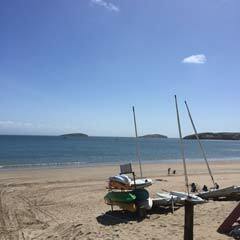 The sun has shone strongly all day here in Abersoch and there has been no wind to speak of whatsoever, so unlike yesterday, temperatures have soared into the 20's C. Down on the beach it was hot and windless, with water glassy perfection on the water for the very few boats and paddleboarders out there. 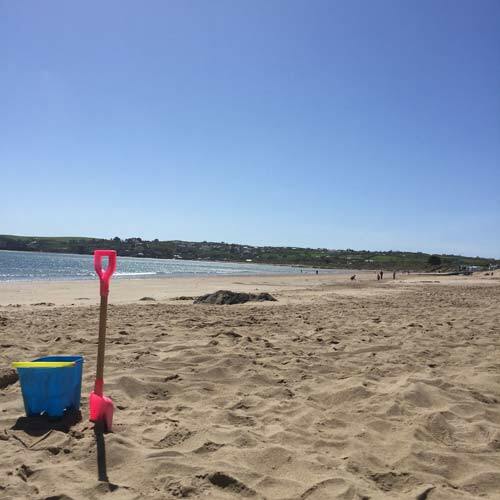 Days like this are a bit like hen's teeth in some summers, however we are gradually accumulating quite a few nice ones so far this month, with this one being by far the best beach day so far this season. 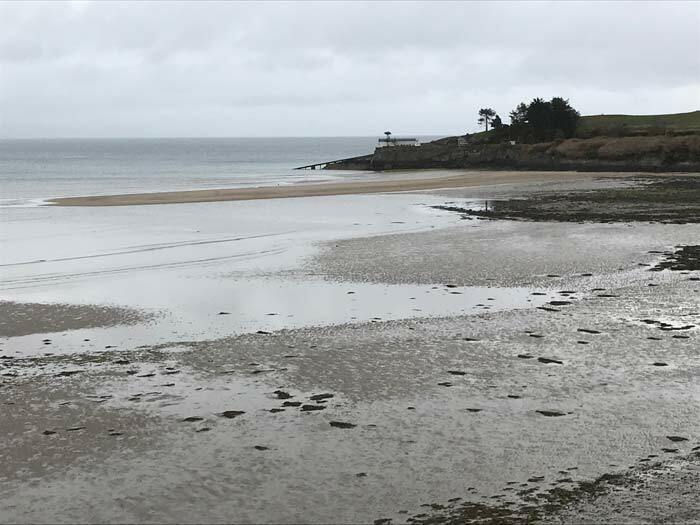 As we left the beach just after 4pm, the tide was coming in over the warm sand creating that wonderful warm water effect close to the shore. 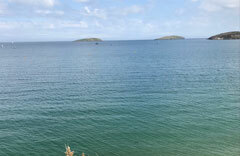 This will of course help the noticeable warming of the water in the bay that we have seen in the last couple of weeks. Showers are still on the cards for tomorrow and Friday, according to the latest models that we have viewed in the last hour, however, there is still some chopping and changing going on, with some notable differences between the models for days such as Sunday, with some charts suggesting showers, whilst others are now going for a fine and really quite warm weekend - so expect the usual differences on those automated apps and forecast sites. We'll try and make some sense out of it all on tomorrow mornings' forecast page update, however, there is a reasonable chance that once these potential showers are out of the way during the next couple of days, that we may see mostly fine, warm and settled weather for some days from Saturday onwards, which is what is now being suggested by the Met Office - so keep those fingers crossed. 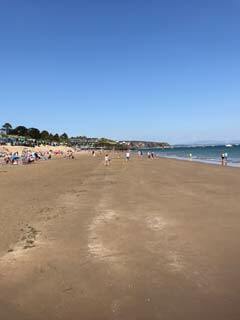 Midday On The Main Beach. 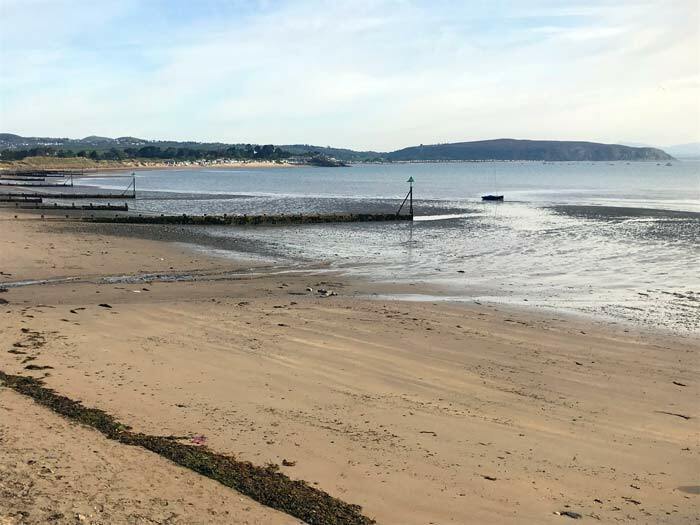 It really is a bit of a belter here in Abersoch this morning and as the headline suggests, in terms of weather, this is about as good as it gets with clear skies, warm sunshine and practically no wind. If that wind stays very light today, then temperatures could soar up into the mid twenties C (see forecast page). 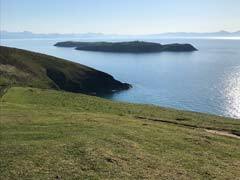 This morning, after a very early update over on the forecast page, it was time for another training run before it got too hot and the photos below give a taste of the views on the route from Abersoch to Neigwl, then onto the coastal path - over Cilan to Ceiriad and then to Abersoch. 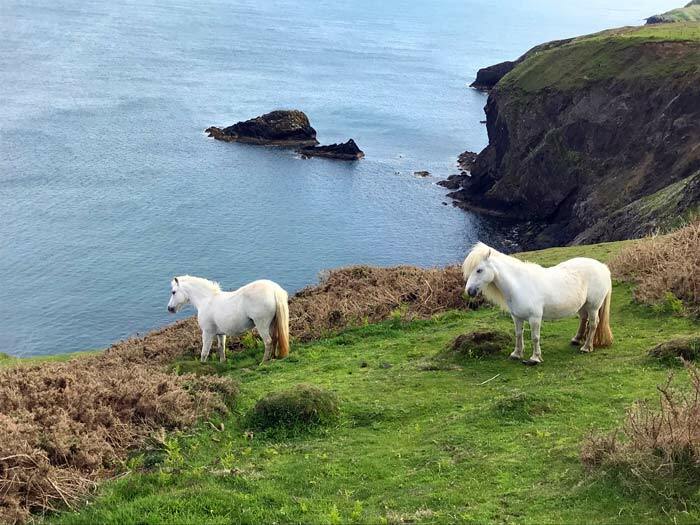 Breathtaking scenery, breathtaking weather on an amazing coastline. 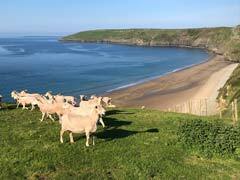 Porth Neigwl early this morning. 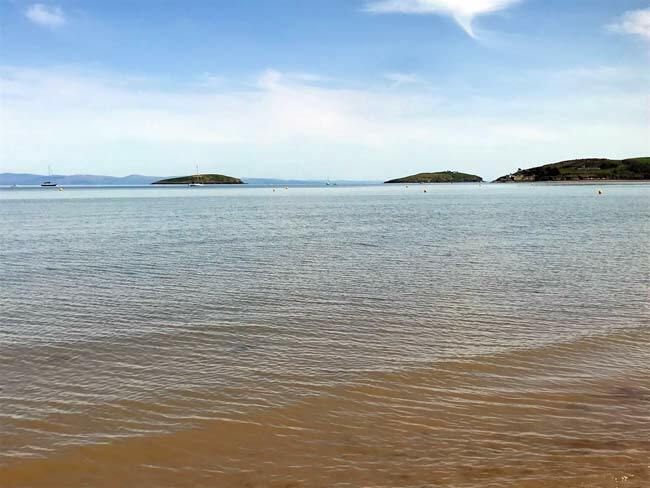 Looking across the bay to main beach. 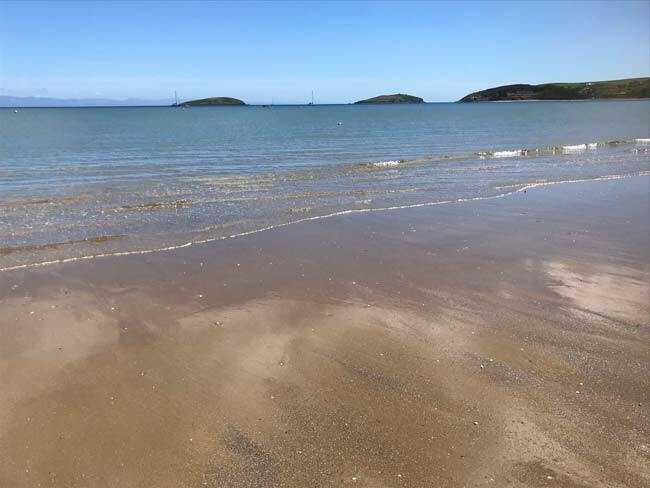 Blue skies have continued today and the breeze from the north has been up and down, with sheltered spots such as the Williams Cafe / SCYC end of the main beach really feeling hot this afternoon, with the sand almost too hot to walk on. 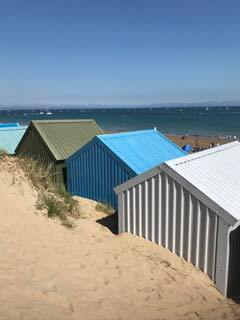 The little huts that spend the summer on the beach were also being put back in place today, with the help of a JCB and these huts can be rented from the W&G Williams garage or cafe. 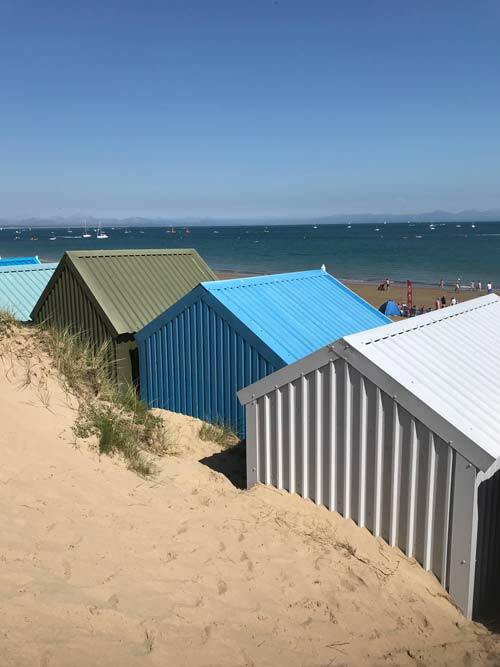 When the huts go back in, it is a sign that the summer season really is here and although June is stil la few days away, today's weather is a reminder of how good it can get in Abersoch. Wednesday could potentially be even warmer as that breeze could drop out. It may not have escaped everyone's attention that the settled, high pressure dominated and warm outlook is now under a little bit of a threat, with the models in the last 36 hours or so, picking up on a trend to see showery troughs affecting the southern half of the country from time to time. There are plenty of differences between these models regarding the timing and behaviour of these troughs, but from our perspsective, there still looks like being plenty of warm or very warm weather over the next week, but the chance of showers, perhaps thundery showers, may increase from time to time. In the meantime expect those automated forecasting apps and websites to chop and change a fair bit over the next day or two. We have just had a quick trawl through what a few of the popular forecasting sites and apps are showing and there are some marked differences showing from as soon as Thursday, which does make it rather confusing for everyone, however, in set ups like the one that is on the way, with low pressure easing north from Iberia and the continent, unpredictability is par for the course. Whatever happens, it does look like staying generally warm and there is the potential for some hot feeling spells in the periods of sunshine. 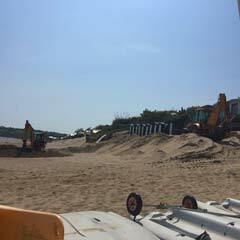 The summer huts are going back in. 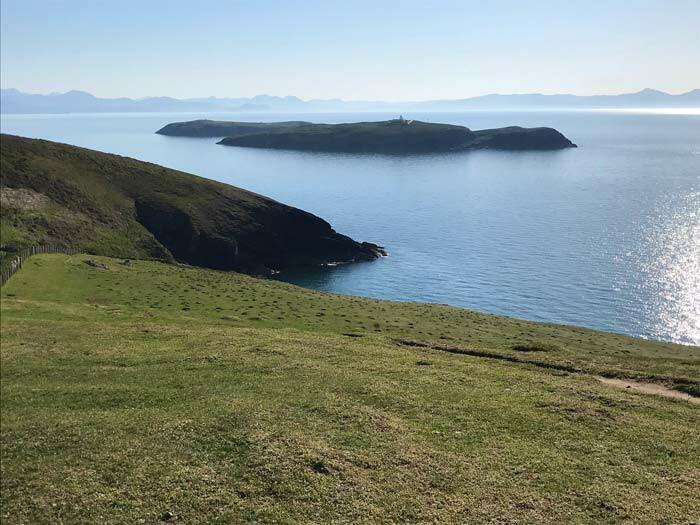 The skies are blue this morning with a bit of haze towards Snowdonia and a northerly breeze and it is looking like being another lovely day. 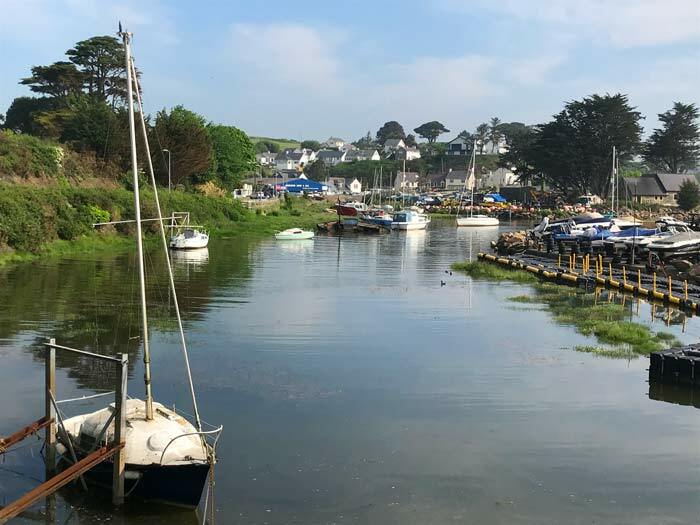 There have been some changes in the forecast outlook over the last 24 hours, which we describe over on the forecast page, with plenty of warm or very warm weather in the outlook, but also the background risk of thundery showers now coming into the equation too. 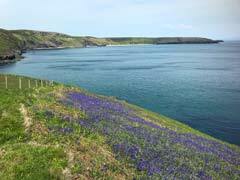 Photo below is this morning's view from the harbour. 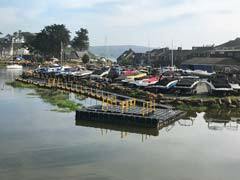 The harbour a few minutes ago. Next Update: Expected to be on Tues 22/05/18. We have seen some bright spells in Abersoch this morning, with the sun trying to break through the cloud cover and it is feeling warm, as the breeze is very light - so it is all really quite pleasant. 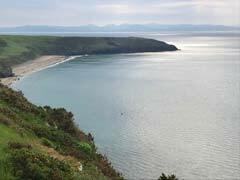 A trip along the coast is planned this afternoon, so we should have some photos from that little adventure early this evening. 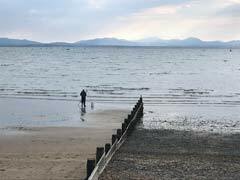 As mentioned earlier, today has remained stubbornly cloudy, after a bright start, so it has been all a little bit disappointing after the lovely few days that we have experienced recently. The good news is that the outlook is still generally very good indeed, with high pressure set to dominate through this week and through the holiday weekend, bringing the chance of beach weather conditions. 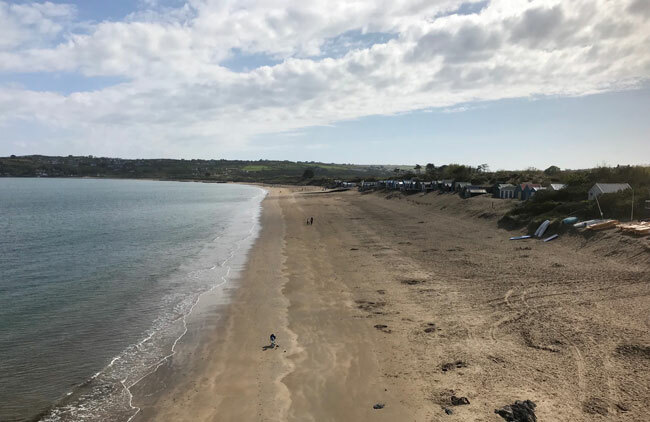 We may see easterly or northeasterly winds pick up at times, but these often diminish in strength during the day in the immediate Abersoch area, so there could be some warm days during the holiday period. Fingers crossed, the charts will continue this theme. There was some early sunshine today, but you had to be up really early to see it and the sunshine was soon replaced by the cloudy afternoon views shown below. The reason for the early start today was for a trip into the mountains and a training run up the Watkin path. Conditions up there were pleasantly warm down at Nant Gwynant, but noticeably breezy and chilly on the summit. 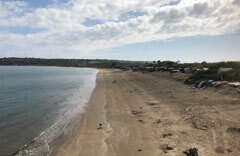 View down (or up) the beach. 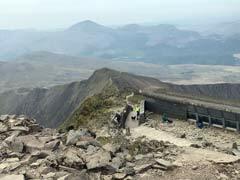 View from Snowdon's summit this am. Today dawned bright and although we were expecting more in the way of high cloud today, we were not expecting cloud amounts to block out the sunshine for most of the time! We'll update with some photos later. The sun is warm this afternoon, varying between strong and hazier spells, but generally it is really very nice again and those spots out of the light but cool breeze are really feeling warm. 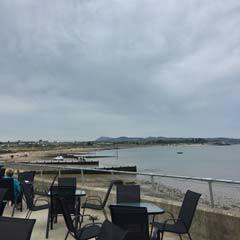 A stroll around the village this afternoon found the views below, including the new roof covering the balcony areas of Zinc. 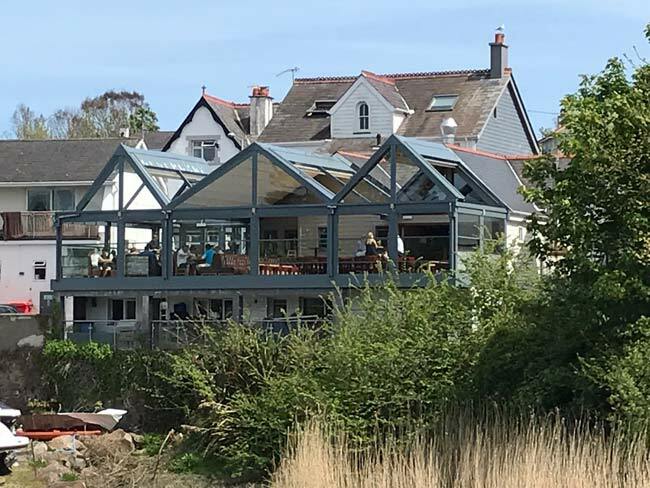 The roof has been in operation since earlier in the month and is partially retractable at the flick of a switch, meaning that eating or drinking outside, whilst enjoying a great view of the inner harbour, is now possible in all weathers. 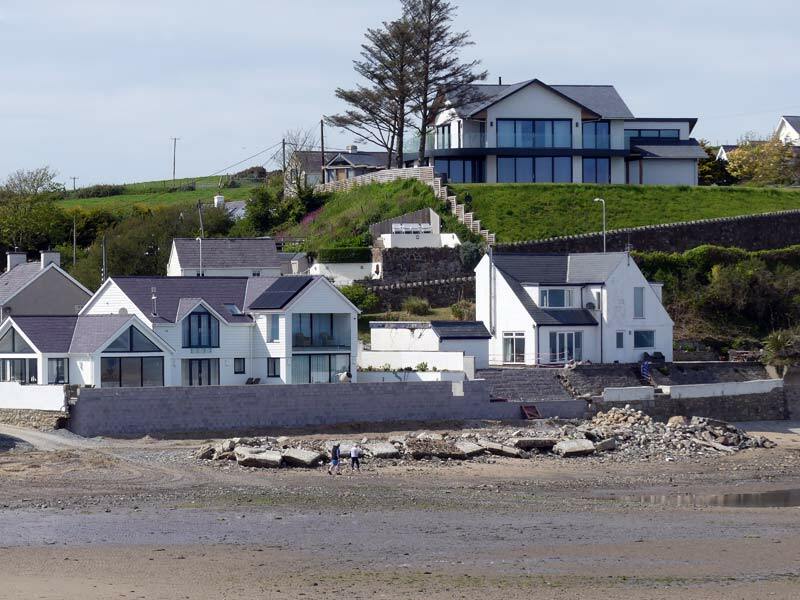 The new mechanical Zinc roof. Inner harbour & Tim's yard. The sun is out again here in Abersoch, continuing the really good spell of weather that we have seen over the last few days and the sunshine is strong, with only a tiny bit of high, fair weather cloud. It looks like being a bit of a cracker. 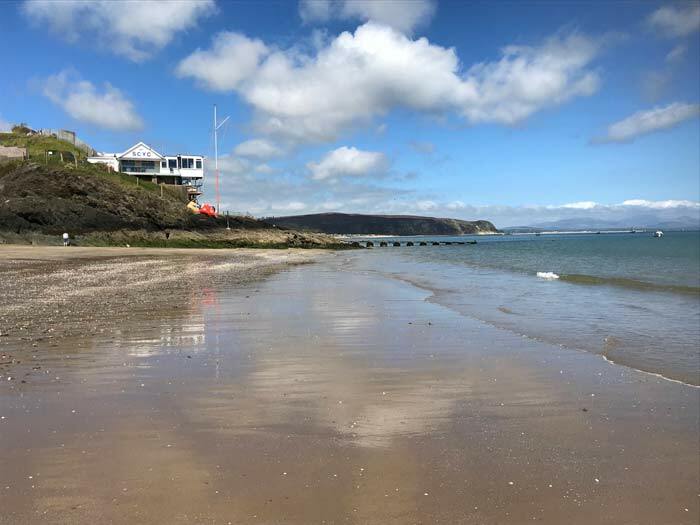 An increasingly popular holiday home park a few miles from Abersoch is holding an open day next weekend, on Sunday 27th May from 10am... to welcome existing and new customers to the 2018 season. According to the site owners... "This is a great opportunity for our current owners to meet some other people on the Park. We are also hoping to welcome anyone interested in perhaps buying a holiday home with us. 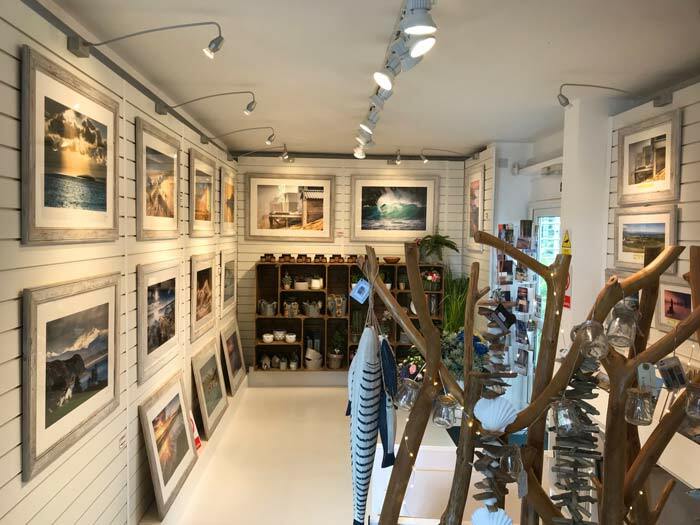 This is a chance to have a good look around the Park, to meet the staff and some existing customers and to view our fantastic range of holiday homes for sale. 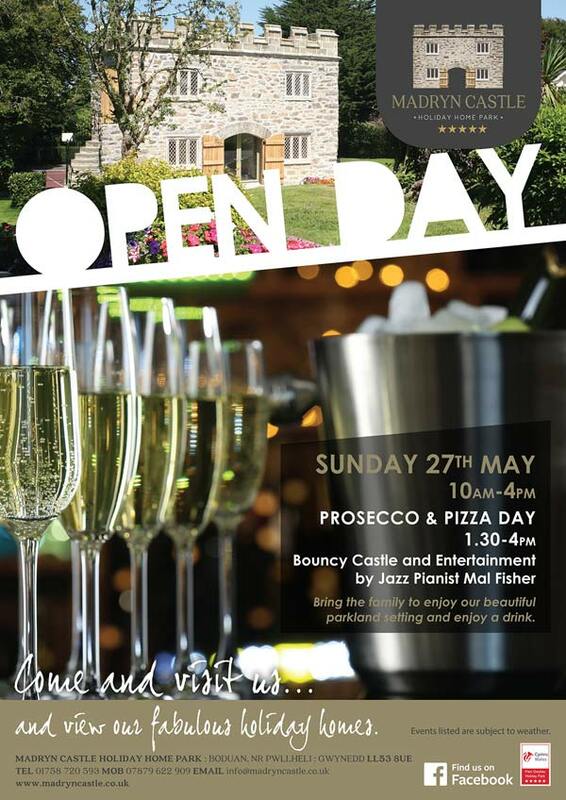 Bring your Family and friends and also enjoy some fine Music from Jazz Pianist Mal Fisher, freshly cooked pizzas from our very own pizza oven and last but not least, a glass of Prosecco." 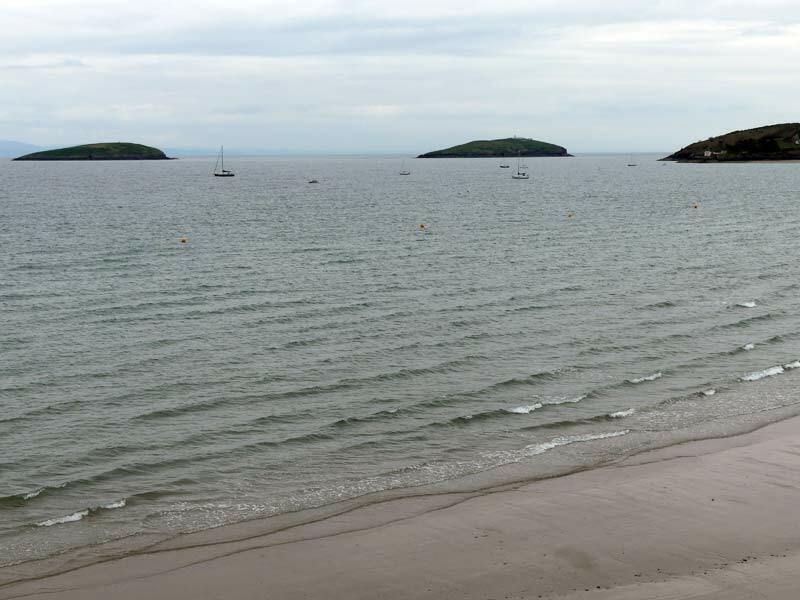 It has been (and still is) another fine afternoon here in Abersoch with a bit of a southerly breeze and some patchy areas of high cloud, so not bright sunshine all the time, however, the soft sand area down in the SCYC corner of the beach was mostly rather toasty and again it was really quiet. 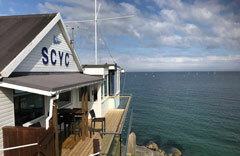 Not quite the idyllic conditions of Thursday afternoon, but not too bad at all! The weather looks like continuing in a similar vein during tomorrow, which we will of course discuss further on tomorrow morning's forecast page and on here during the latter part of the afternoon. High cloud came & went. 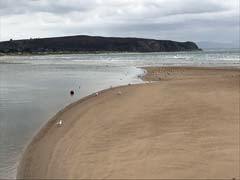 Main beach at approx 8am. We mentioned on this morning's forecast that a combination of not much breeze and sunshine could bring a really nice, warm feeling afternoon and that is what has happened! The high cloud that was causing the bright but hazy morning, cleared away to bring a rather classic Abersoch afternoon. To be honest, it was pretty much as good as it gets on the main beach, with the lack of breeze meaning that it was warm right down to the waters edge. 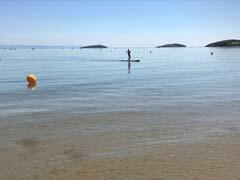 The sea itself has also noticeably warmed in the last week, or so it seemed during a quick paddle. As was the case earlier in the week, the beach was again really quiet. 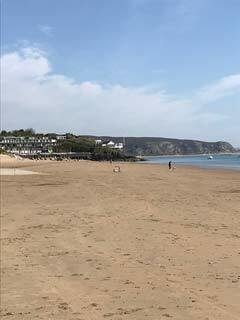 It has been a pleasantly warm morning here in Abersoch with hazy sunshine as there is a bit of high cloud knocking about too and a hint of northeasterly breeze. 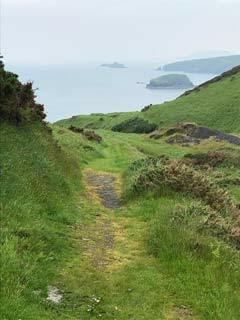 Early this morning, a jog around to Porth Neigwl, up Cilan and back via Ceiriad along the wonderful coastal path, found some lovely views. Heading up Cilan from Porth Neigwl. 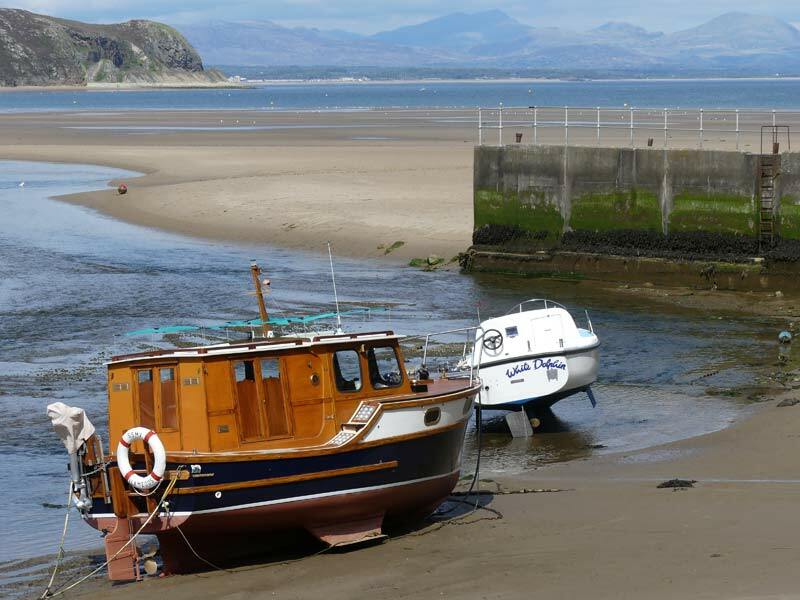 The islands with a Snowdonia backdrop. 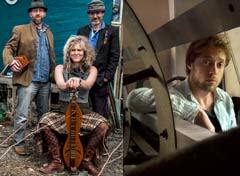 Traditional music with a difference. 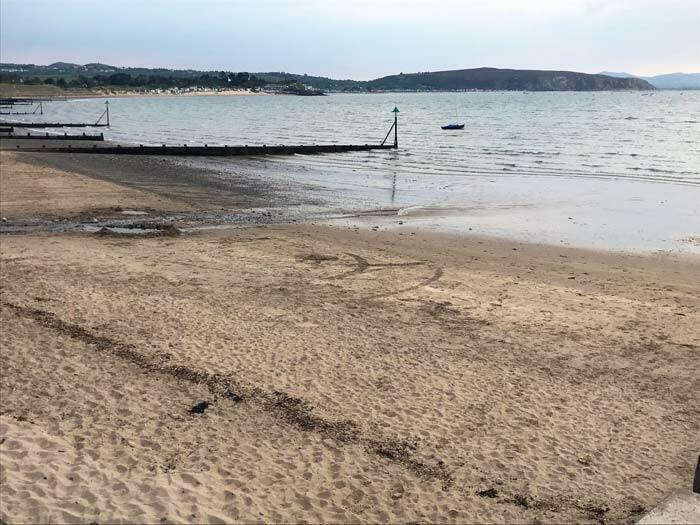 Although it has stayed dry here in Abersoch today, there has been more cloud than expected, with our forecast earlier this morning suggesting the possibility of some decent spells of sunshine. 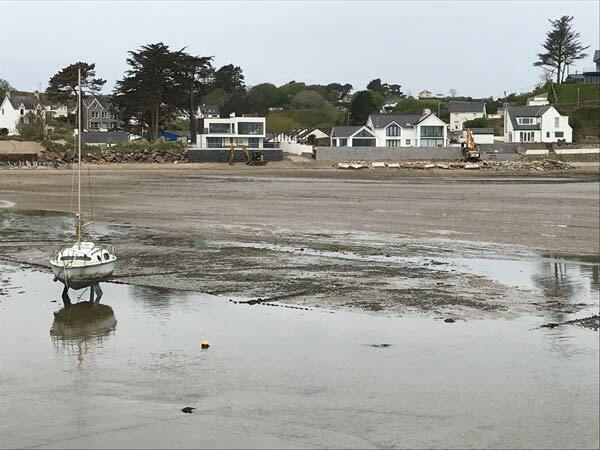 Unfortunately, the forecast proved to be a little too optimistic today and most of any sunshine was this morning, as this afternoon has been disappointingly overcast, with a bit of a chilly breeze from a northerly quarter. 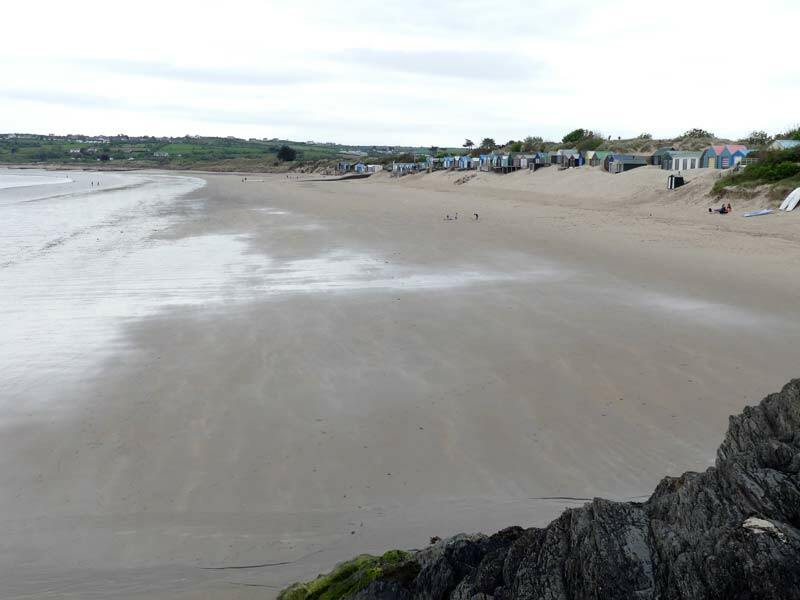 The beach was (not surprisingly) quiet. 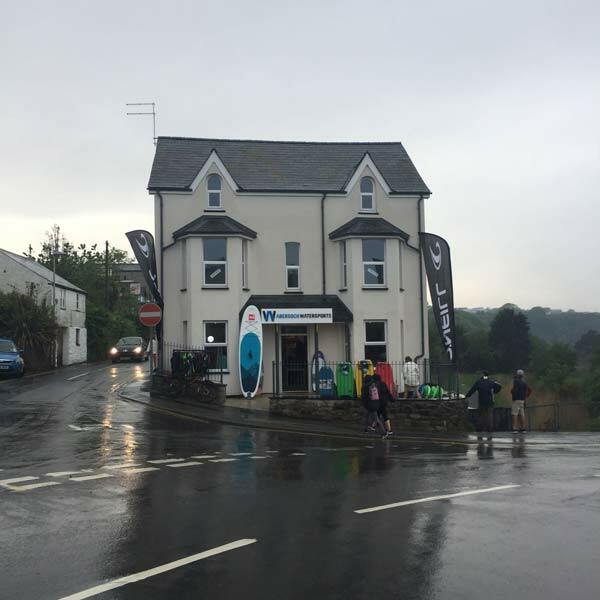 There were a few people knocking about the village when we passed through this afternoon and work was going on in various new premises, with Abersoch Watersports set to move across the road to its new shop in the building that used to be the Front Door / Riverside, the hairdressers shop was being painted as Abersoch Boatyard are opening another outlet in there for the summer and there will also be a new shop opening next week in the old Nat West Bank building - more info and photos on these next week. Cool & choppy this afternoon. - The UK is a big place in terms of weather. 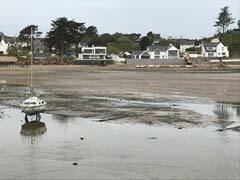 Many of these clickbait forecasts are actually talking about the southeast of the UK, ie London and the London climate is very, very different to what we experience on the coast of NW Wales. 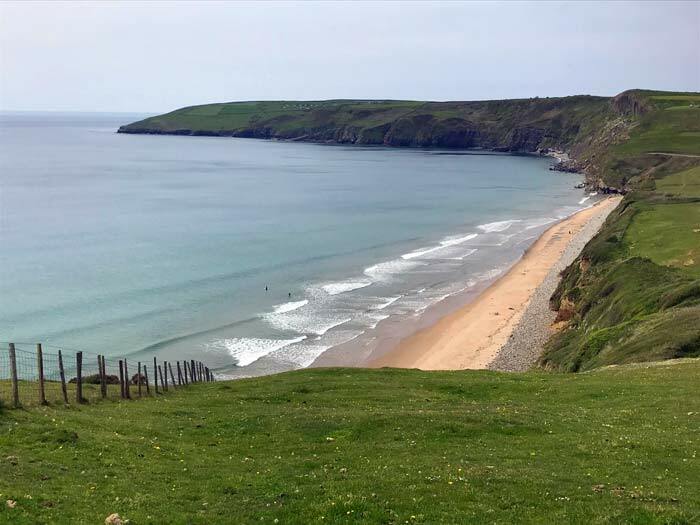 A good example is the huge temperature difference between Pen Llyn and the SE during the May Day Weekend "heatwave". - The Met Office provide the most accurate guidance for forecasts in the 6 to 30 day category and these currently highlight the potential NW / SE split in weather across the country, with some decent weather to be had, but there is NO mention of a possible extended very warm period, in fact at the moment they suggest that temperatures later this month may end up being close to the late May average. This does not mean that they are right and it should be noted that within their description there is certainly the potential for warm and fine periods. - The models that are publically available, which are the ones we use to base our own forecasts on, are hinting at some fine weather in the next 14 days, with some charts looking very promising indeed, however, these charts do flip flop from day today so it is far too early to know whether they will be accurate or not. Note that your automated apps and weather websites use the operational runs of these models, so although they may be showing a heatwave in their extended outlook today, they often show something very different 12 hours later! We'll be looking for some signs of consistency from the models over the coming days over on the forecast page, however, until we see some consistency in terms of a high pressure dominated outlook, and until the Met Office start talking up a potential belting outlook, we will remain very cautious - especially as the next holiday weekend is 11 days away, so it will be some time yet before anyone can have a reasonable idea of what lies in store. 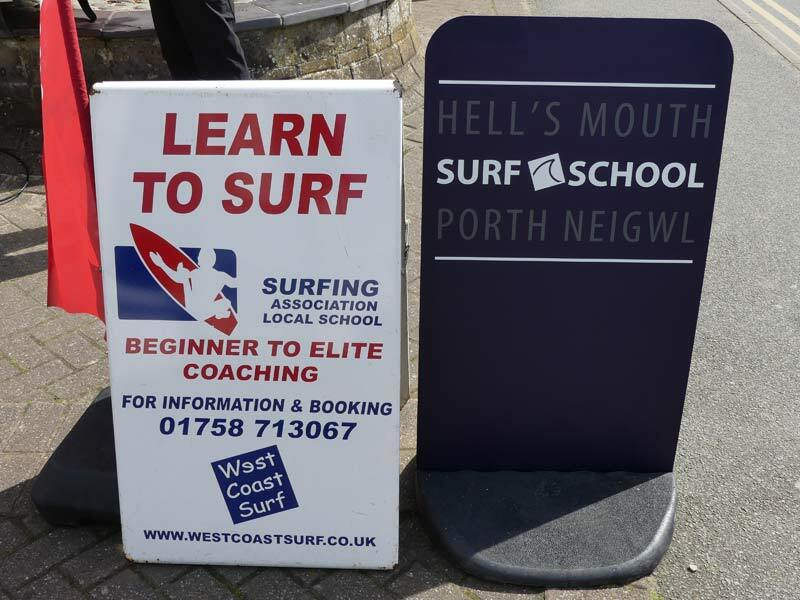 With the water temperature now warming up, the Hell's Mouth Surf School, operating out of West Coast Surf Shop is re-opening for business. 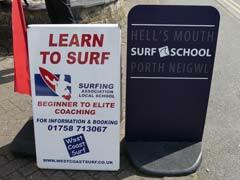 Details at their Facebook Page or www.westcoastsurf.co.uk. 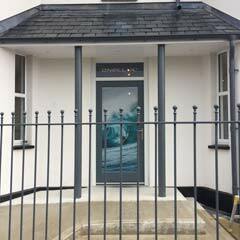 Surf school re-opening this weekend. Some early cloud this morning broke up and mostly disappeared to allow through some lovely spells of warm sunshine again this afternoon here in Abersoch. 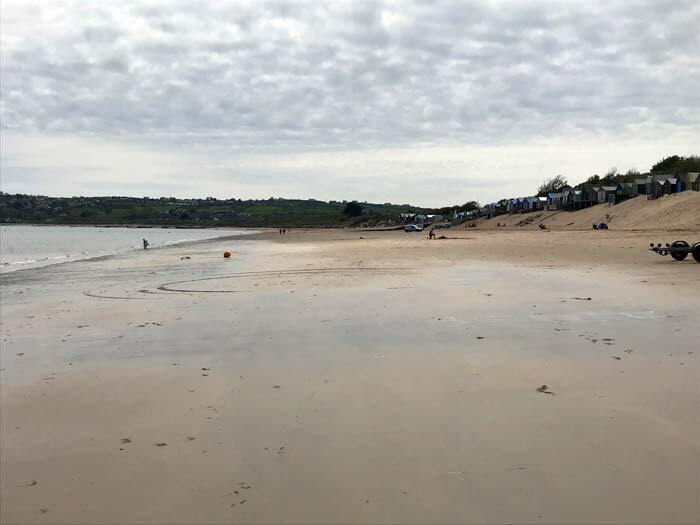 With only a light southwesterly breeze down on the main beach, it was pleasantly warm even by the waters edge with the soft sand areas higher up the beach again becoming really rather toasty. 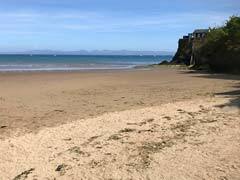 The beach was almost deserted, with a few people walking in the sunshine. 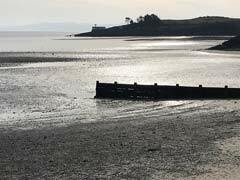 For those lucky enough to be here on an afternoon like this, it doesn't get too much better, as that sun is strong at this time of year, so once that wind drops, it feels great. 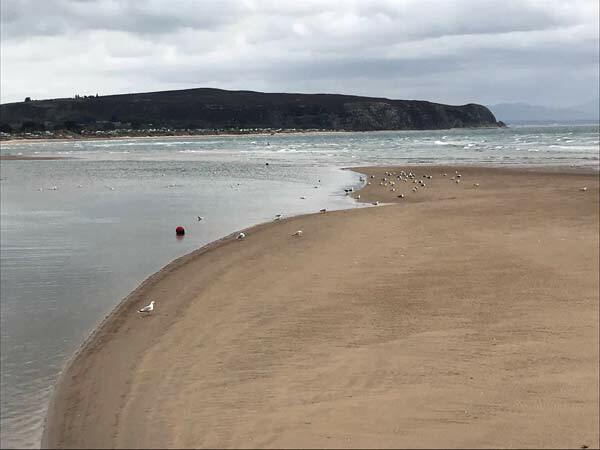 Despite the winter often seeing non-prevailing winds and some big easterly gales, the main beach has recovered quite well from the scouring and battering it took from the waves. 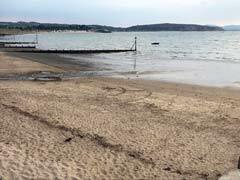 Yes the sand level is lower than normal and there are some areas of stoney sand, however, in general the beach is in good shape and in far better condition than after one winter in the 1990's that saw the beach scoured down the bedrock for a period. This is good news for the main season and especialy as the next bank holiday week is not far away. 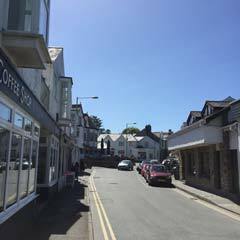 Those who have already visited Abersoch this season will have seen the changes in the village with the Indian restaurant being replaced by the Abersoch Diner, the Nat West Bank building has the Two Islands Ice Cream parlour / Coffee shop in it, serving delicious home made ice cream and of course the very well known Coconut Kitchen is now under new ownership as the Coconut Cove. Abersoch has a diverse range of restaurants and cafes to suit most tastes and we wish these new enterprises well. In some not so good news, we have been told that The View restaurant and bar, formerly 5 Degrees West (Or the Glyn Club for those of a particular age) is currently closed. 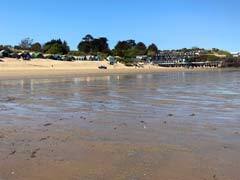 The main beach just before 2pm this afternoon. The sun shone this weekend, with the showers staying away and today saw virtually cloudless skies and strong sunshine. 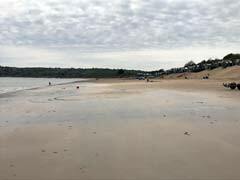 There was a little bit of a cool breeze on the beach, but areas in shelter on the soft sand were really quite warm, however, there was not much activity on the water and the beach itself was quiet. After a couple of days of no updates, the forecast page will return tomorrow and a brief look at the latest charts this afternoon does suggest that higher pressure may bring some very decent weather at times to the Abersoch area over the next week. More detail on the forecast update tomorrow morning. 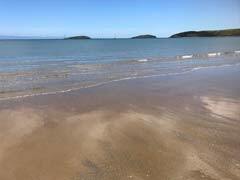 Blue sky / quiet main beach this afternoon. The blue skies of yesterday have gone this morning with plenty of cloud and a strong south-southeasterly wind, which is gusting to gale in exposed spots. 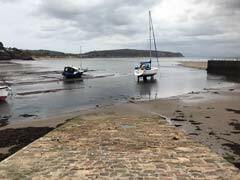 Abersoch outer harbour is sheltered in this wind direction and felt relatively warm and pleasant due to the lack of wind, despite the cloud overhead. The work on the harbour beach sea defences looks as though it is nearly finished after the tremendous battering it got from the storms earlier in the year. Below are a few pics of the scene this morning at about 10am. 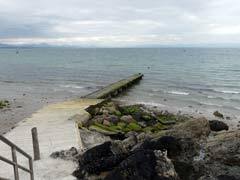 View from the end of the harbour wall. 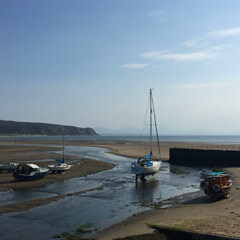 2 days of decidedly dodgy weather have been replaced by blue skies today here in Abersoch with spots sheltered from the moderate breeze feeling toasty, though that breeze does have an edge to it, with air temperatures struggling to reach the low teens C. As is most often the case at this time of year and especially this year, due to the colder than normal sea temperatures, sheltered spots in the sunshine are needed to benefit from the sun's warmth and today is one of those days. Unfortunately it is back to dodgy weather tomorrow with strong to gale force south-southeasterlies on the way, along with some rain arriving too. As for the weekend, we discussed the chance of showers arriving during Saturday on the weather forecast page this morning, however, there are some promising signs that the shower risk could be lowering, which we will discuss again early tomorrow morning. 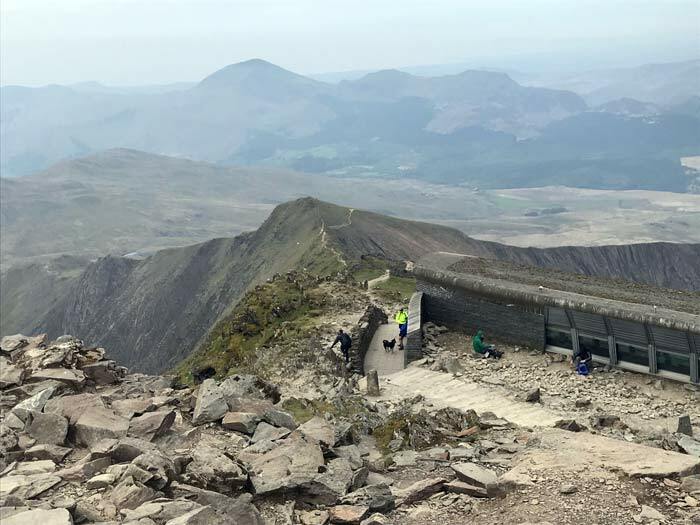 Note that there will be no forecast update on Saturday morning duse to the forecaster taking part in a 50mile footrace in Snowdonia. Almost cloudless above the bay. 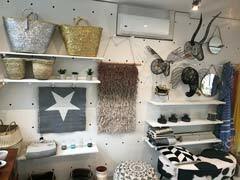 Warm in the corner of main beach. 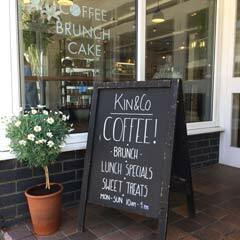 One of several good coffee options! 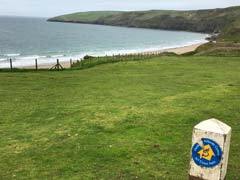 It is raining here in Abersoch this afternoon, after a cloudy but dry morning, which we took advantage of to have a short jog round the coastal path to Porth Ceiriad before the rain arrived. On the tops above Ceiriad, the wind was gusting to strong in strength and it is now quite breezy in the village as this update is being typed. Fortunately, a better day is expected on Thursday (tomorrow), when we may see a return of that yellow ball in the sky again, before the weather goes downhill on Friday. Mid-morning view - cloudy but dry. It got quite wet for a time today here in Abersoch, especially around the late morning to early afternoon period, when we saw a spell of persistent rain and there was a bit more rain than we were expecting. Later this afternoon, the cloud has been replaced by much brighter skies and it is feeling fairly warm again in the sunshine, especially as the wind has dropped off. 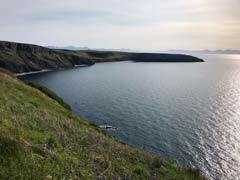 Photos below from above the main beach. 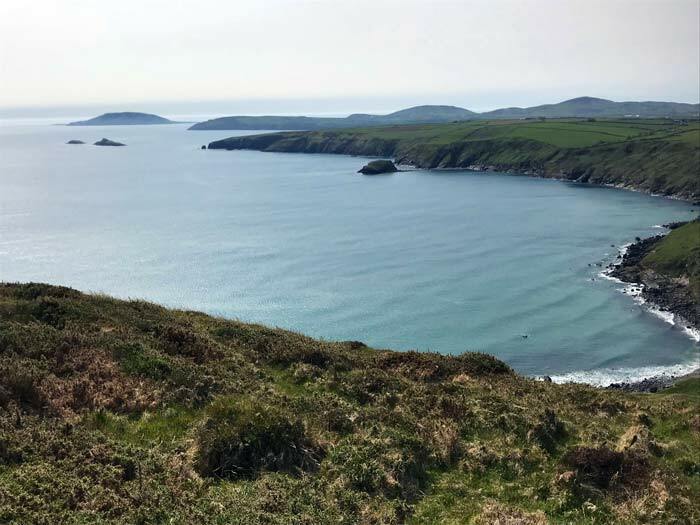 As described in our update yesterday afternoon, as far as bank holidays go, especially this one which falls right at the beginning of May, it really turned into a lovely one after the disappointlingly cloudy and cool / chilly weather of Friday and Saturday. Temperatures rose above the mid-teens in the Abersoch area on Sunday and Monday after the clearance of early sea fog, though the air temperatures did not generally reach 20C. 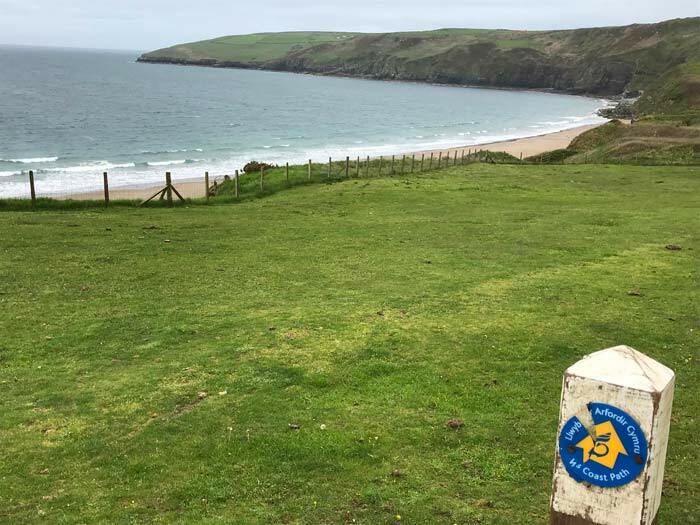 The reason for this was that the seas are very cold at this time of year, which is especially so this year after the cold spells of the last few weeks and any breeze coming off that sea will keep the air over the peninsula relatively cool and this was highlighted by the fact that the Met Office weather station at Aberdaron did not reach 13C on Monday, despite some sunshine. 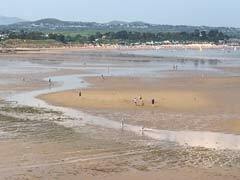 Spots a short distance inland from the waters edge obviously got quite warm in the strong sunshine, especially on Sunday, eg on the soft sand areas of the main beach in Abersoch and in the village, however, this was no heatwave in terms of air temperatures and was often more than 10C less than was recorded in the SE of Britain. Our turn will come in terms of higher temperatures, but not this week! 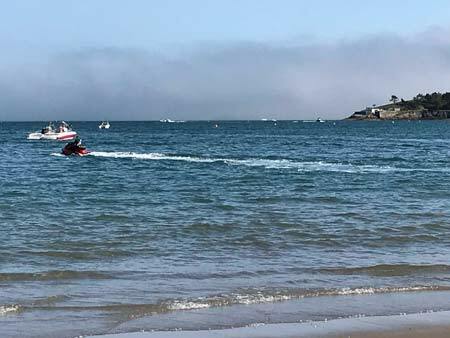 With sea temperatures cold at this time of year, if warm and moist air flows over it, then advection fog can occur, which results in sea fog. 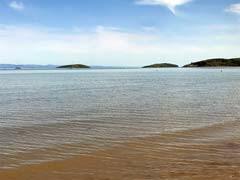 Basically the warm air above the cold water is cooled and ends up releasing its water due to condensation in the form of clouds and fog. Light breezes are generally needed for this to happen and the fog can affect coastal areas, with narrow peninsulas such as Pen Llyn prone to such events. 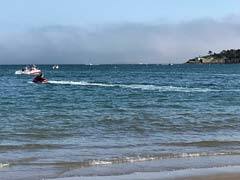 As the sea warms up during the early summer, then the chances of sea fog occuring generally reduce. 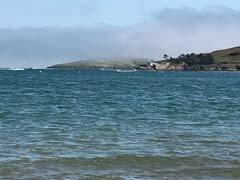 Eastern coastal areas of Britain, where the North Sea is often colder than the Irish Sea, generally sees more regular instances of sea fog, where it is known as fret or haar. 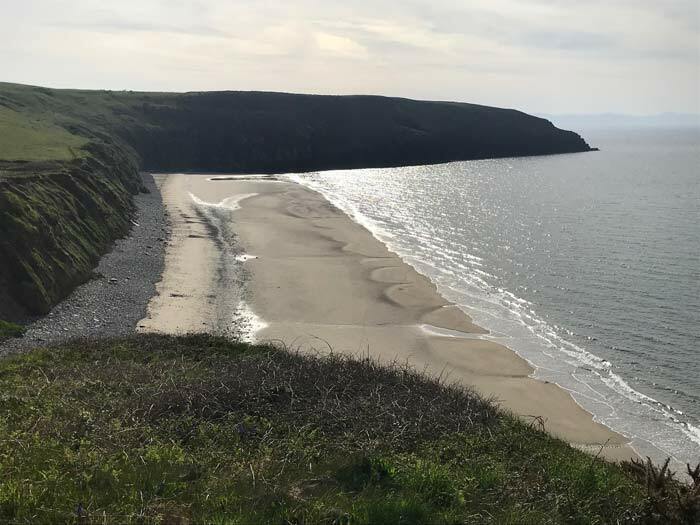 Over the weekend, the western side of Wales saw almost perfect conditions for the formation of the fog with light breezes and relatively warm air over very cold water, with the direction of breeze bringing it over the land, especially during the early and latter parts of the day. Simple answer to this one - no. Its purely down to the luck of a particular weather set up at a particular time of year. 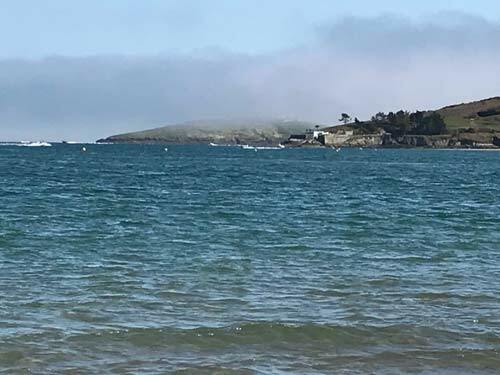 Our seas never really warm up, which is why wetsuits are normally required during the summer months, so there is a chance that sea fog can form at any time, however, it is not known to be becoming a more common feature of the local weather. 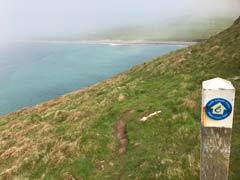 Sea fog / low cloud came & went. We can have no complaints about the weather over the last 2 days with today following on from Sunday's warm sunshine. 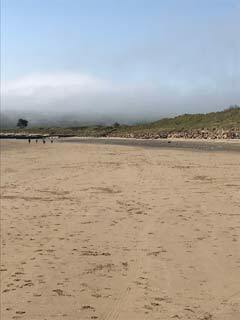 The fog cleared fairly quickly this morning from the village area, though it still lapped onto beaches such as Porth Neigwl for a time. Conditions on the main beach were lovely, a light and refreshingly cool breeze, with warm sunshine on the soft sand areas and it was also noticeably quieter than Sunday. The sky had a bit of high cloud drifting about, but not enough to spoil the sunshine and as far as Bank Holiday's go, this ended up being a bit of a belter, after the disappointment of Saturday. Unfortunately, changeable weather is set to return from tomorrow, with some rather windy and very mixed conditions for the rest of the week, with Thursday perhaps looking as though it might be the next decent day, which we'll take a closer look at on tomorrow morning's forecast page. Late morning on the main beach. 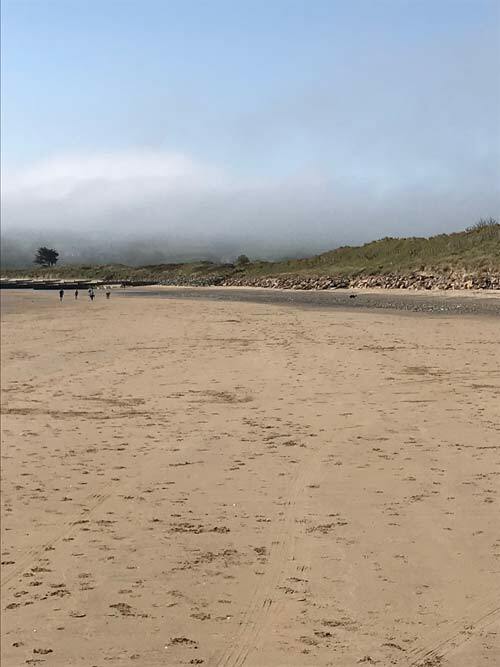 The sunshine has broken through the fog again this morning - ss discussed over on the forecast page - so it looks like being another beach day! Enjoy the sunshine and let's hope the Irish Sea fog stays away. The sun has been shining here in Abersoch since our last update and it has been a bit of a stunning afternoon, with skies crystal clear. After a trip to Llanbedrog fete, the afternoon destination was Abersoch main beach which was not surpisingly fairly busy and nice and warm in the sunshine. 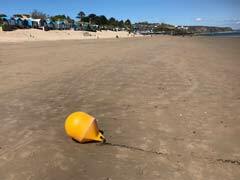 There was a fair bit of activity on the water, with some powerboats and jetskis enjoying the early season warmth of the sun, though the sea was really, really cold. Towards the water's edge, there was a bit of a cross-shore breeze, which was quite refreshingly cool and the breeze picked up later from a southerly quarter and this brought in some chillier air and the fog banks back into the bay. 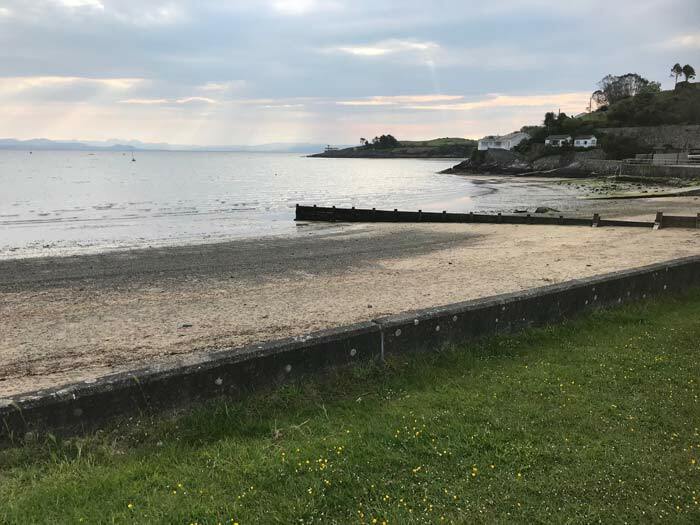 The fog is affecting parts of the area again as this report is being typed and may return to the village this evening and overnight, so, tomorrow morning could be a repeat of the will it or won't it brighten up scenario that we saw this morning. Fingers crossed for a repeat performance. Blue skies above the main beach. Fog banks returning later this afternoon. 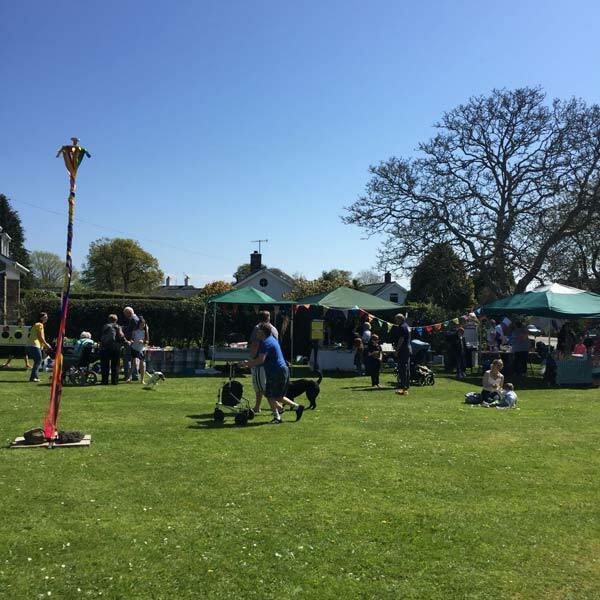 Well it took its time and there was considerable doubt this morning as to whether it would actually turn up at all this weekend, however, the sun has finally made an appearance, with conditions transformed from the early gloom to something really rather toasty. There was a reference to an old Fast Show character this morning over on the forecast page, which can now be changed to another, as it is looking far more like a "scorchio" scenario for the next few hours. One word of caution is that those fog banks are still lurking out there in the Irish Sea, so there remains a chance that they could still re-appear, especially later, so we are perhaps not completely out of the woods just yet. 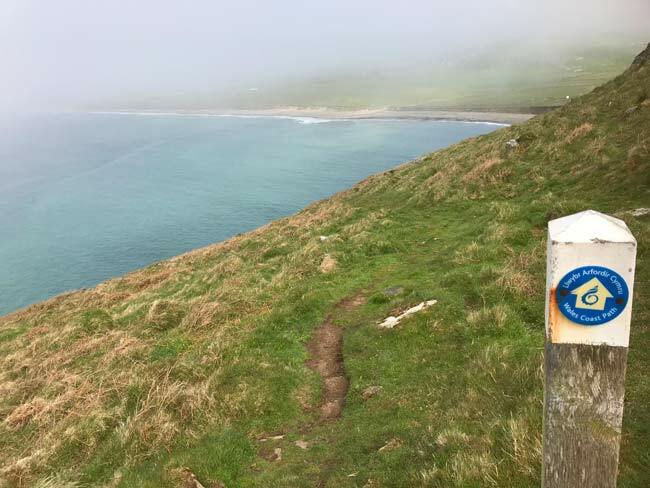 This morning's run along the coastal path from Porth Neigwl was foggy to say the least, with no views possible from Cilan or the Ceiriad area - until the latter stages, when the fog rather suddenly cleared away, as seen in the photo below. Fog banks clearing away this morning. 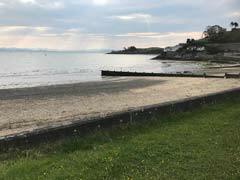 As discussed over on the forecast page, it is a foggy start to the day here in Abersoch - so beach plans are currently on hold! 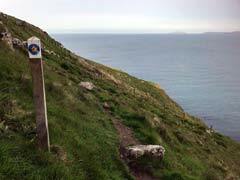 Heading towards the coastal path, so will post any photos (if there is any visibility) later. 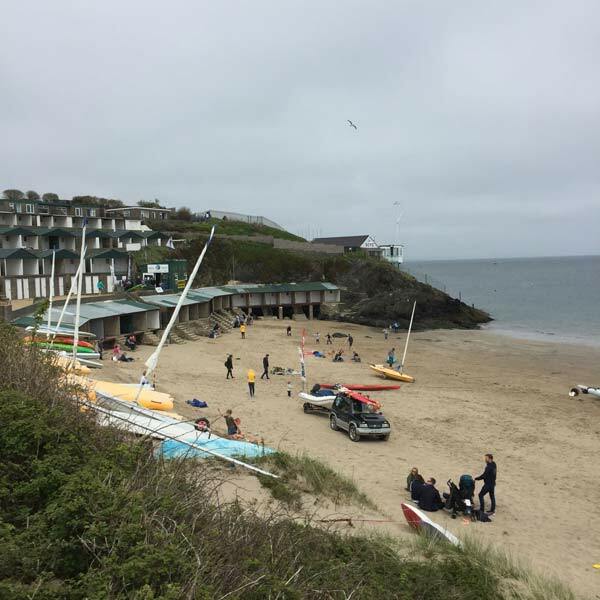 A brief update following on from the first one a couple of hours ago with some cloudy photos taken in the village and on the beach. 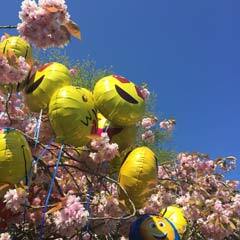 As the last caption below says, let's hope it's a sunnier one tomorrow! Cloudy and fairly cool on the beach. Busy Vaynol patio this afternoon. 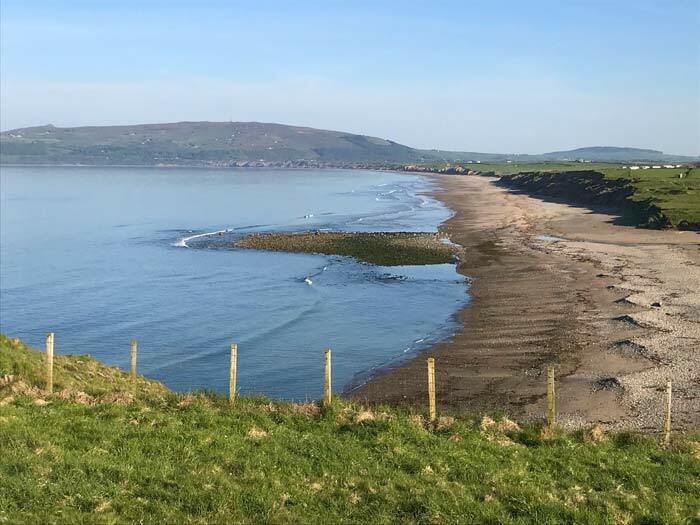 Welcome to a new feature on the site - an experimental page with an aim to provide supplementary info to our daily weather forecast page and the news page, with info on various stuff that is taking place in the locality. 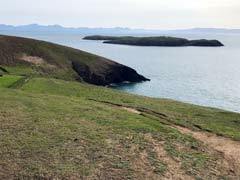 The page will be updated on most days of the week and will also bring updates from the beach(es). 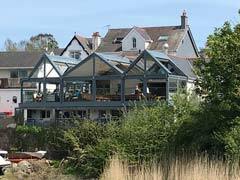 The popular Mickey's Boatyard Beach Cafe, down at the Bwlchtocyn end of Abersoch main beach are having a bit of a family friendly bash today with the bar open all afternoon, with day and evening menus and live music from the excellent Tom Macaulay and Annabelle from 7pm. 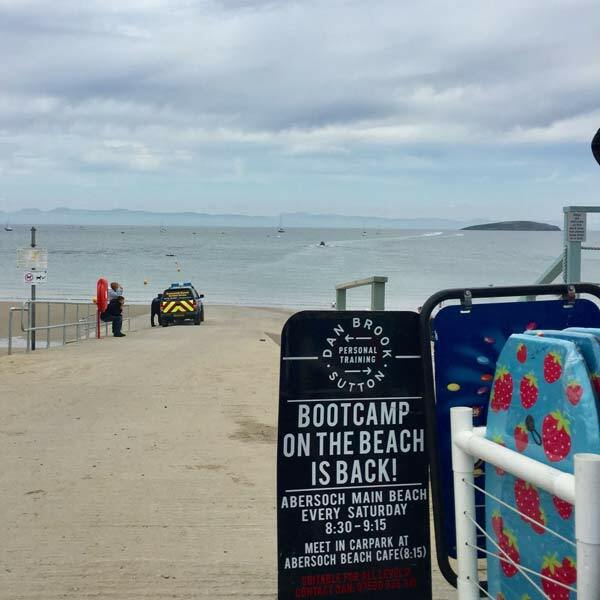 There is no entry fee for the event, however, the organisers suggest that donations to Abersoch RNLI will be greatly appreciated. Amanda at Totally Abersoch on the Sarn Bach road just outside of the village, will be open all weekend and has lots of beautiful new stock for your home, as well as of course John's wonderful photos. 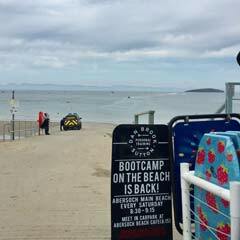 Dan's Bootcamp took place this morning, with another scheduled for 8.30am on the main beach (Abersoch Cafe middle slipway). Users of the Warrne Beach are being asked to check out the beach zoning map that is on prominent display on the beach, which shows the various water zones where non-powered craft are excluded and the speed limits inside the buoys. Yellow flags have also been placed on the beach to designate the launch areas. 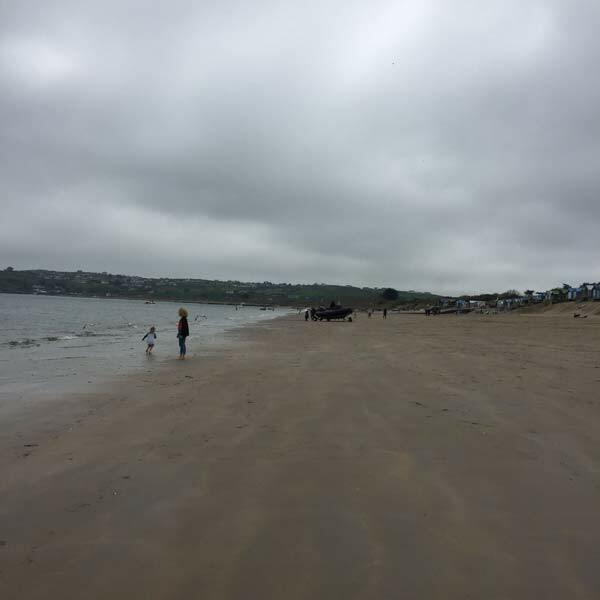 With forecasts in the media over the last few days predicting heatwaves, we have been a little more cautious on our forecast page, due to this coastal cloud that arrived yesterday and has continued today, which has remained disappointingly overcast and cool. The latest satellite imagery does show clearer skies a short distance away towards Anglesey and into the rest of North Wales, with Pen Llyn under this annoying blanket of cloud. You will have noticed that the popular GFS model powered sites such as XC Weather, Wind Guru etc have been predicting blue skies since yesterday morning, which, as often is the case on these sites, is wrong. The resolution of this model is not really geared up for local anomalies like this coastal cloud cover and so we have to look at higher resolution models to provide us with a better idea of what might happen. Funnily enough, the Met Office and BBC use such higher resolution models and these have performed much better over the last 24 hours, showing cloud dominating in our area. So, as we have been discussing on the weather page this morning, the question remains whether we are likely to see some sunshine this weekend. The answer is a cautious yes. 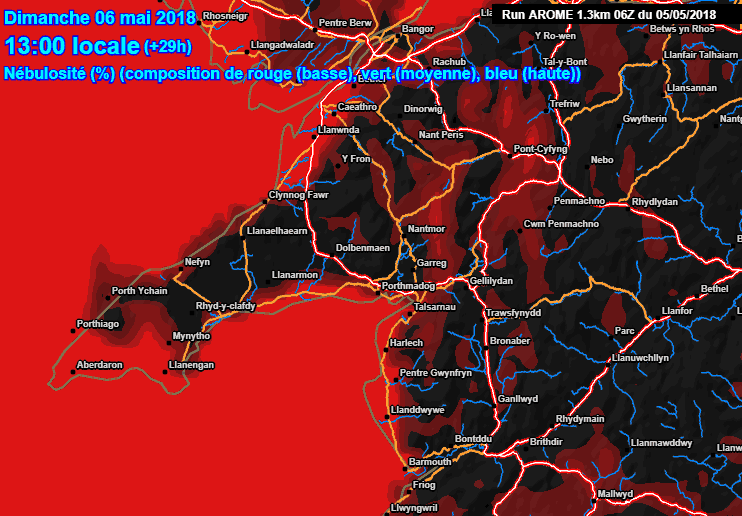 A look at the graphics below, which are from the excellent Metociel website from France and show their highly regarded, high resolution Arome model's view on the cloud. One thing to remember, is that this is still a computer model, so it is by no means perfect and it only runs out to 42 hours ahead, however it often gives us a better idea of what is happening, especially when used in conjunction with other short range, hi-res info. 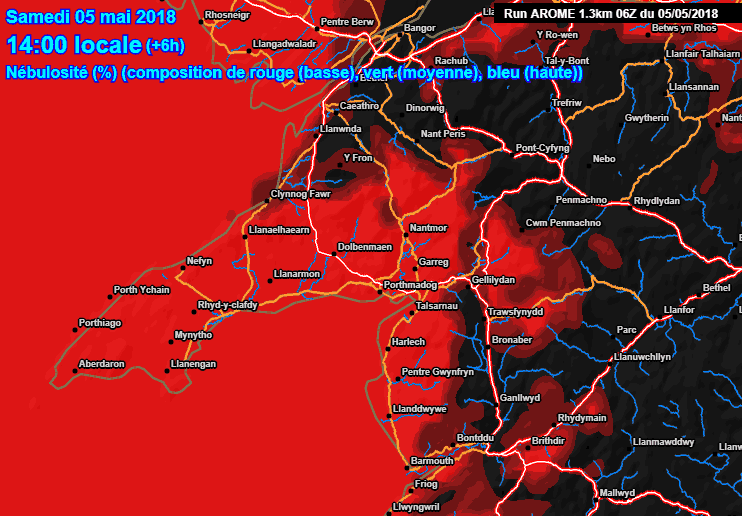 Low cloud on the graphics is the red area, and whereas today the model has a blanket of red over the Abersoch area, there are signs of the darker areas appearing tomorrow, with the darker areas corresponding to clearer skies. The model does still show some cloud affecting parts of the coast during Sunday afternoon, however, it may be less of an issue than today. So, as we discussed on the weather page this morning, there is some room for optimism that we may see a brighter and warmer day tomorrow (Sunday), especially for the afternoon. As for the prospects for Monday, we'll leave that to further updates on the forecast page and this page. Cloud cover early Sunday morning. 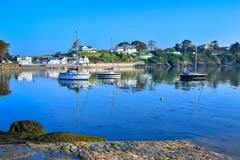 For the latest daily reports - click here.